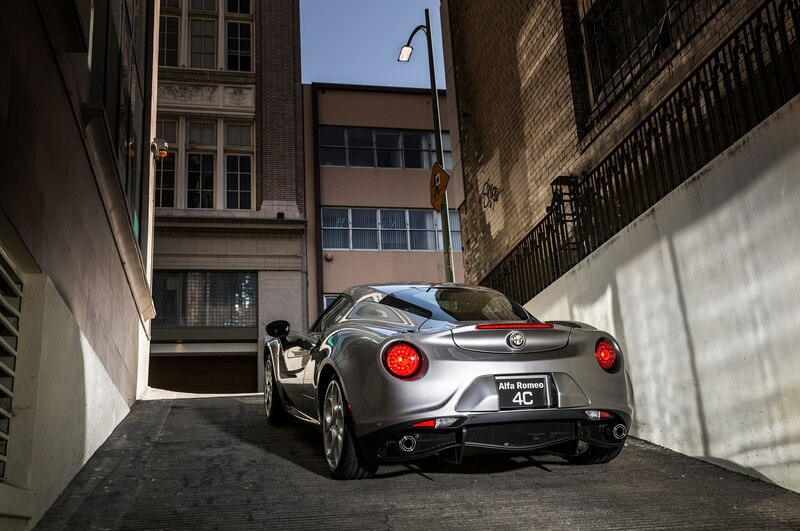 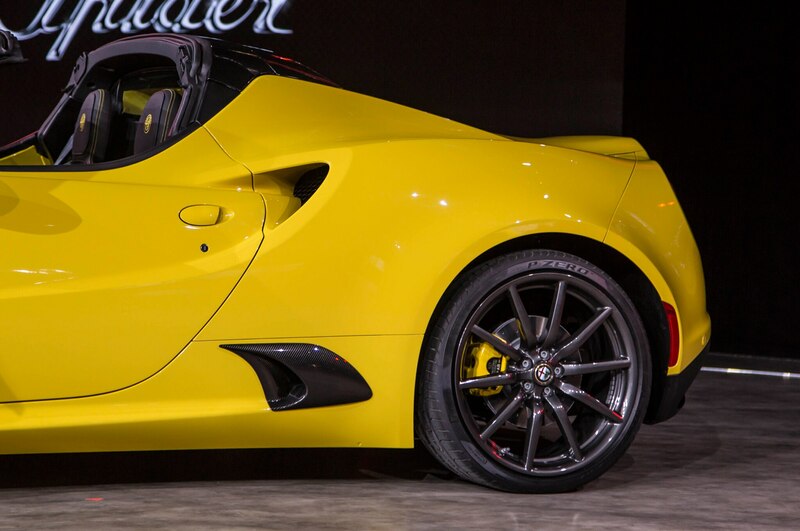 The 4C Spider’s targa-style top adds 22 lb. 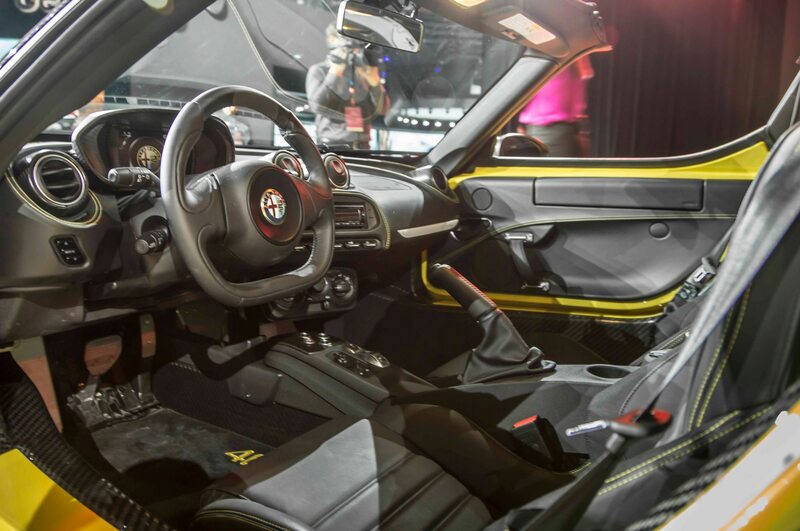 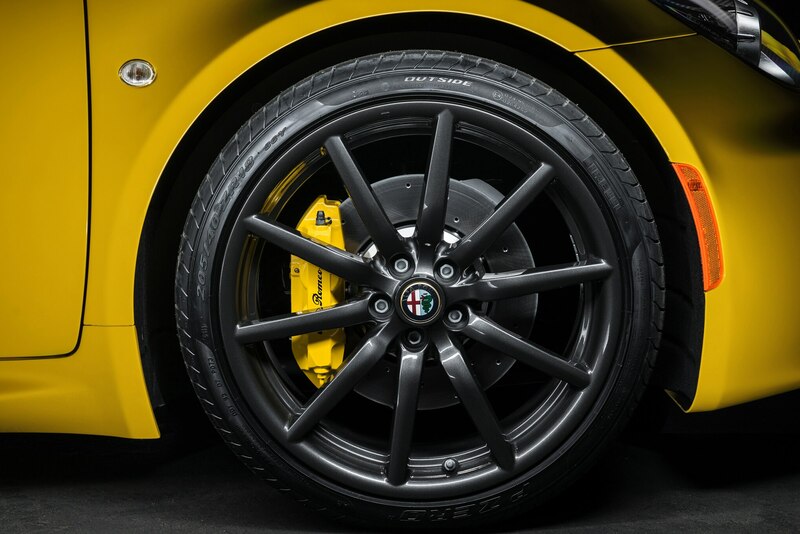 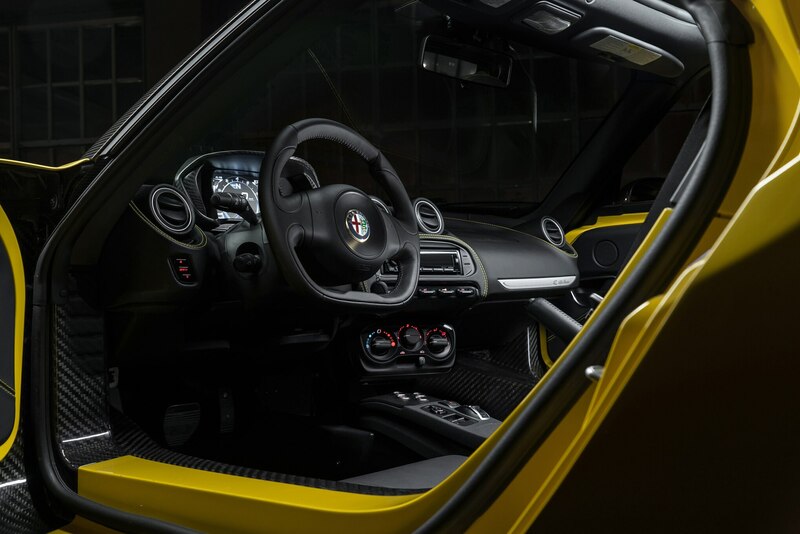 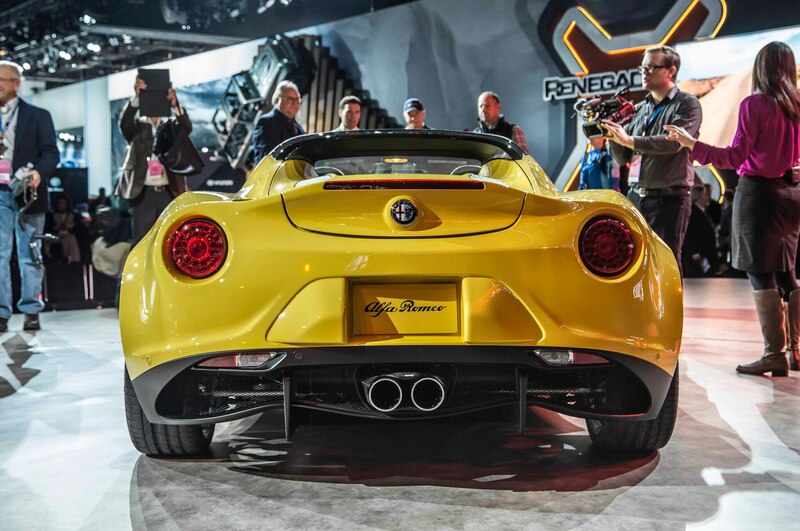 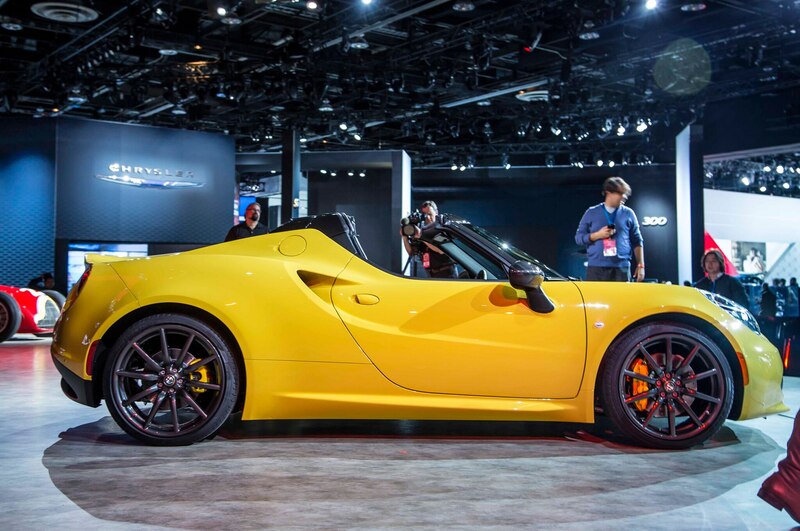 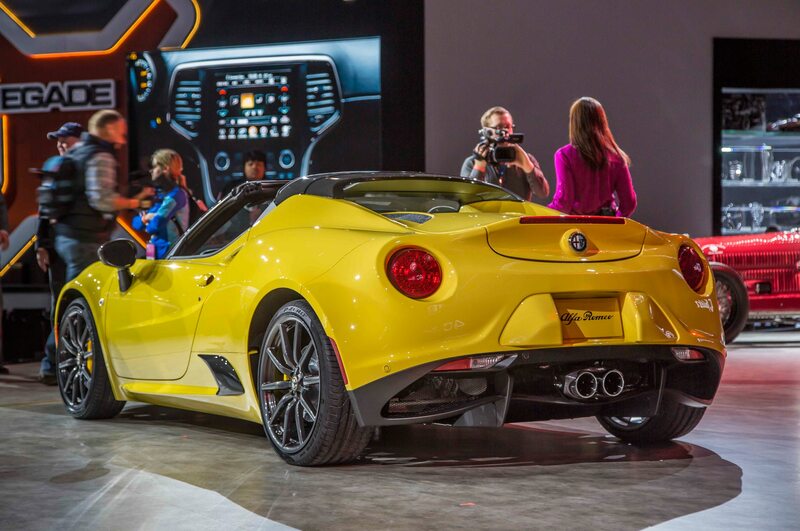 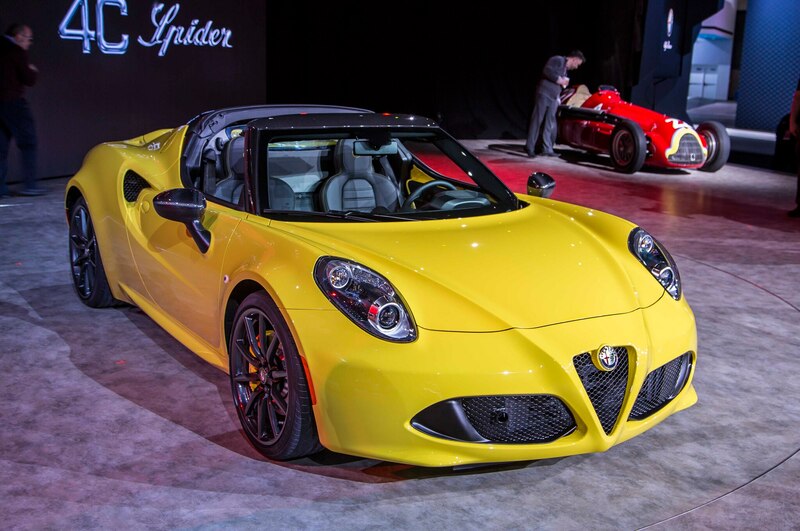 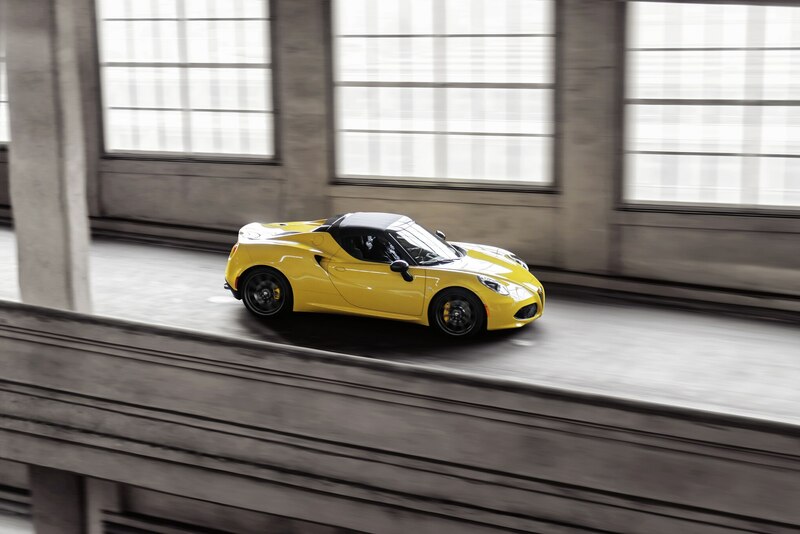 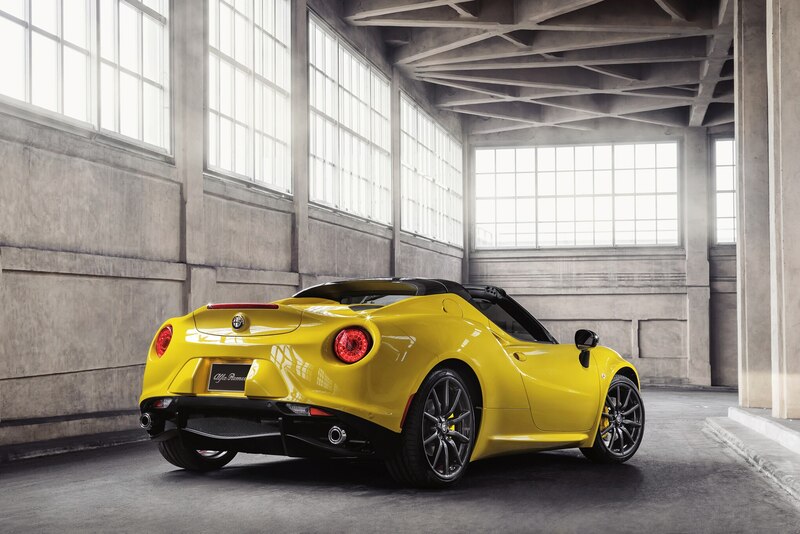 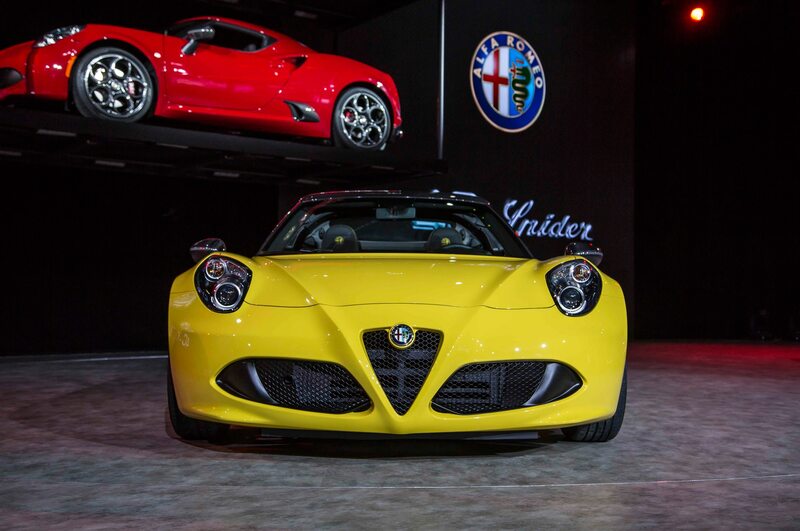 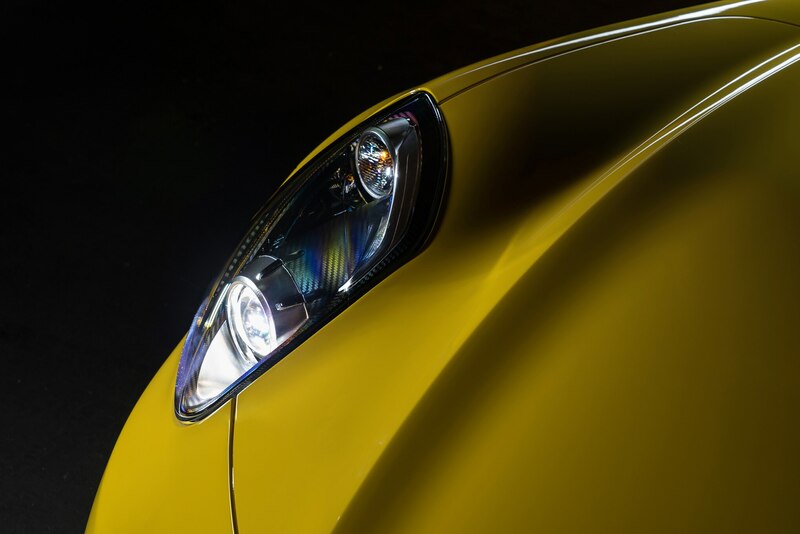 DETROIT – Surprise, surprise, the production-ready Alfa Romeo 4C Spider unveiled at the 2015 Detroit auto show is virtually identical to the concept we saw at the 2014 Geneva Motor Show last March. 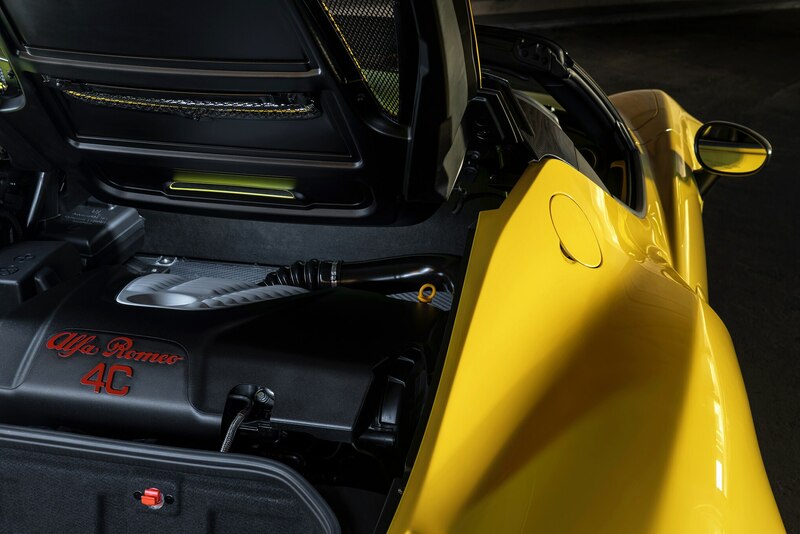 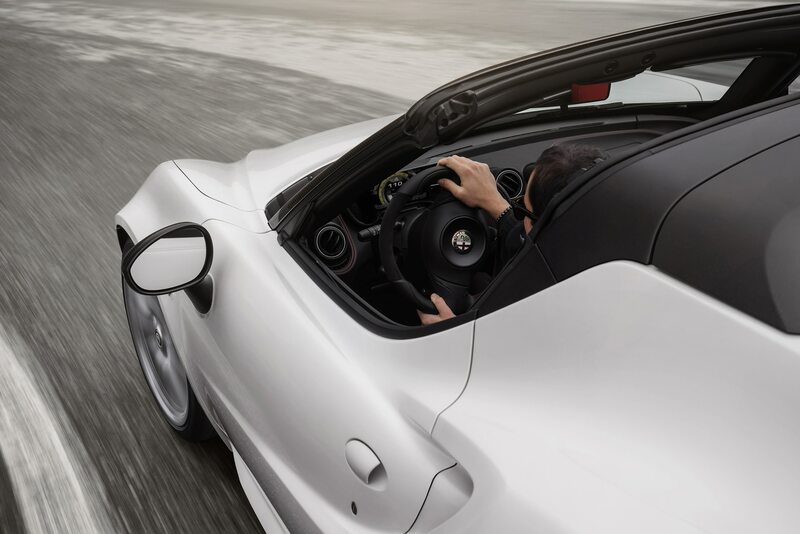 The 4C Spider is a targa; its folding fabric soft top detaches between the windshield header and the roll hoop, and the top slides into a small compartment behind the mid-mounted engine. 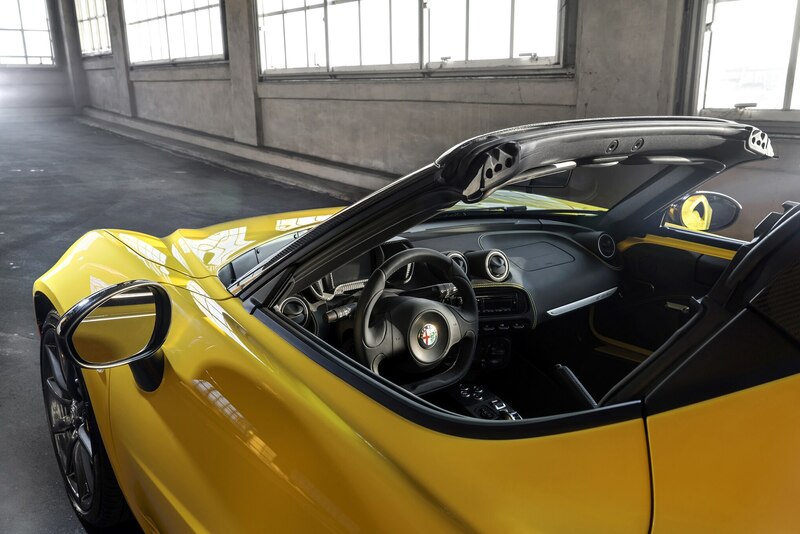 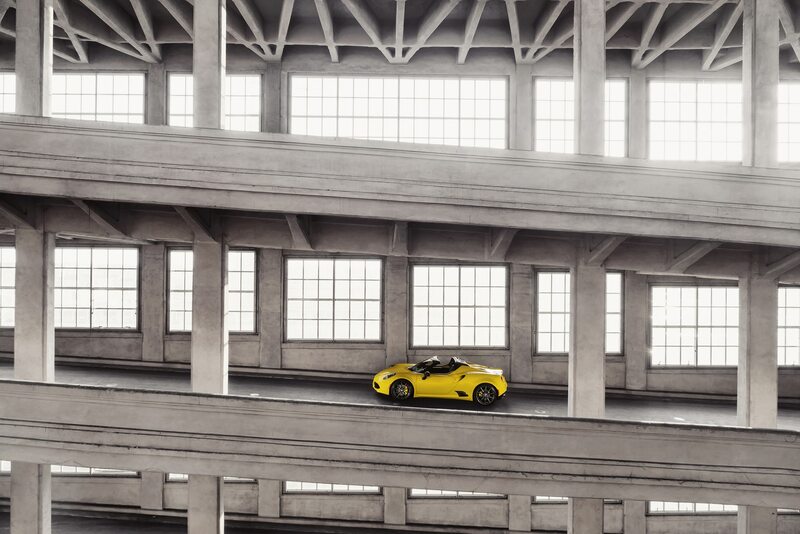 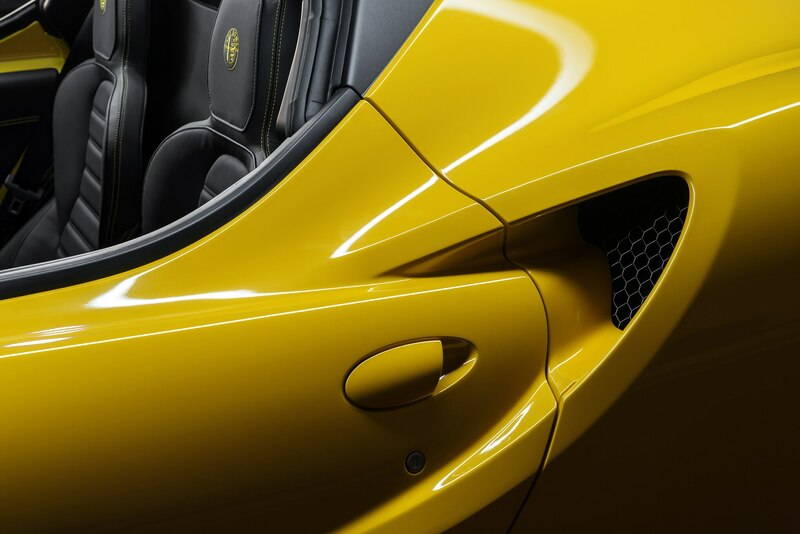 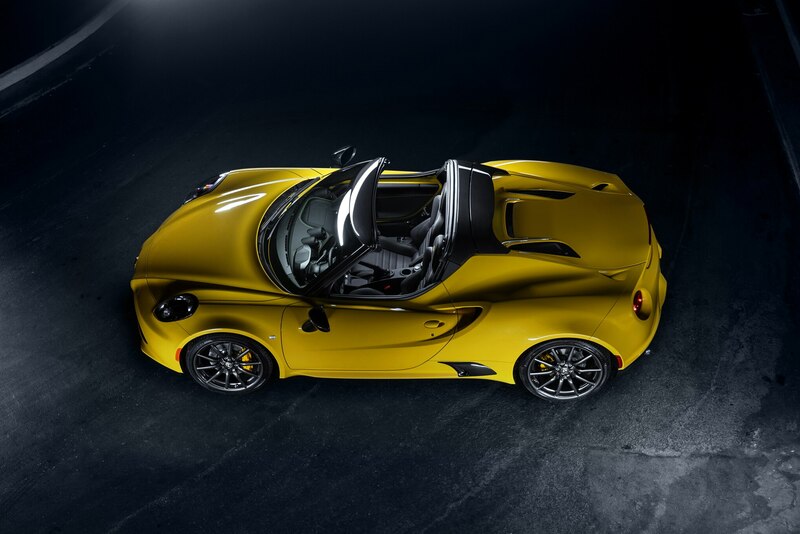 Aside from its detachable top, the 4C Spider is a differentiated from the coupe by its new rear hood with a small, vertical rear window, its center-exiting dual exhaust pipes, and its 22-lb heavier curb weight (2487 lb total). 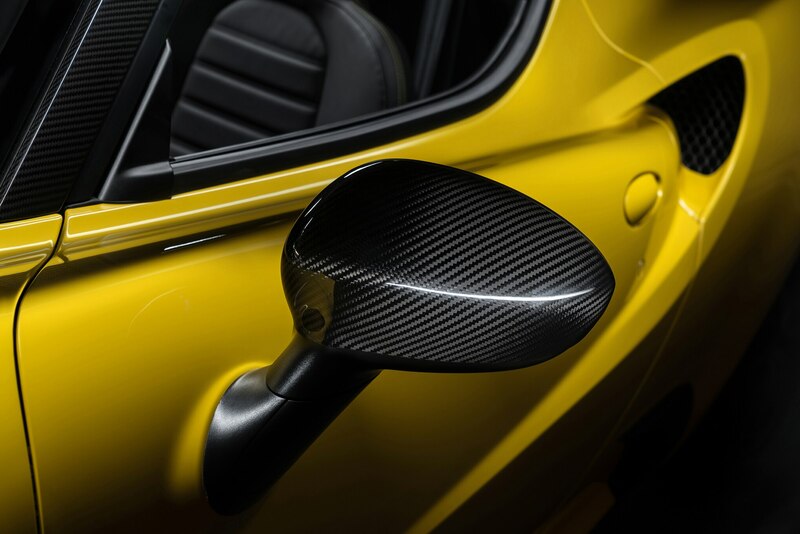 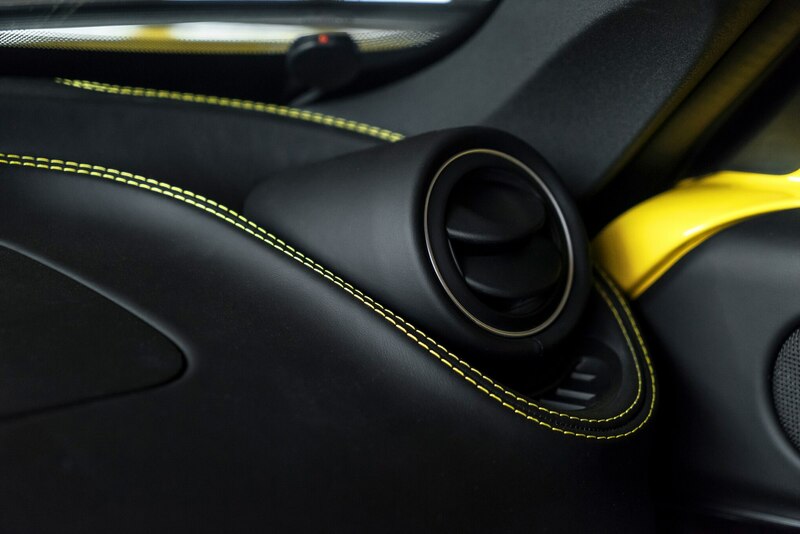 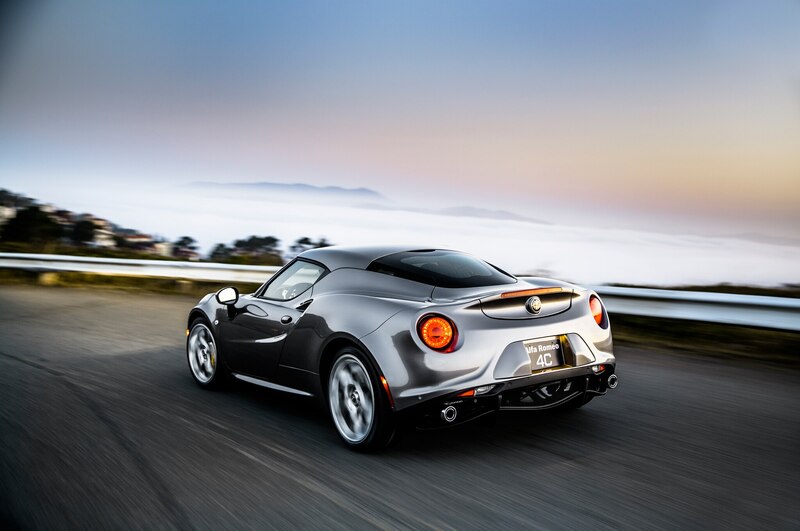 If something is standard or optional on the 4C coupe, the same goes for the Spider, aside from leather seats that are standard on the Spider and optional on the coupe. 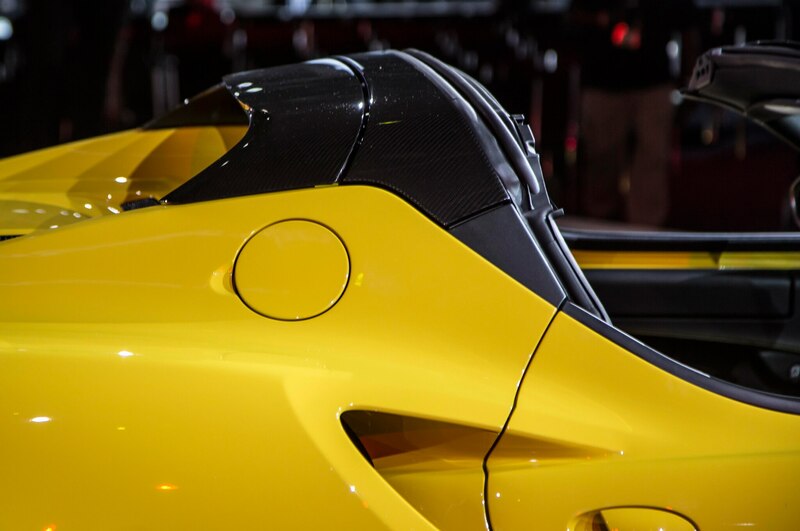 One option on the Spider will be an unpainted carbon-fiber roof panel, but it might be a bit useless. 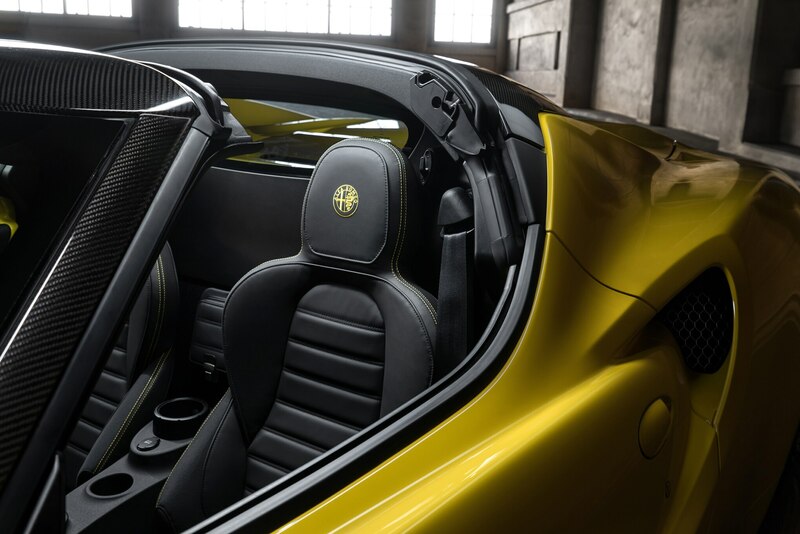 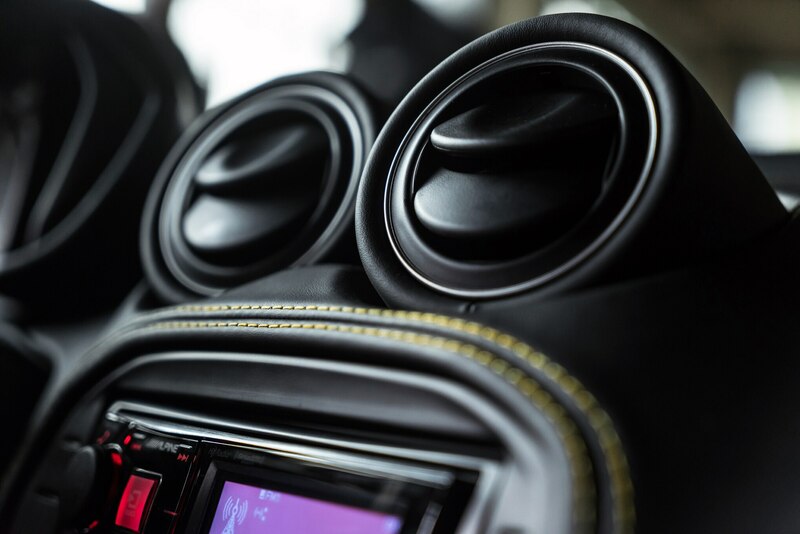 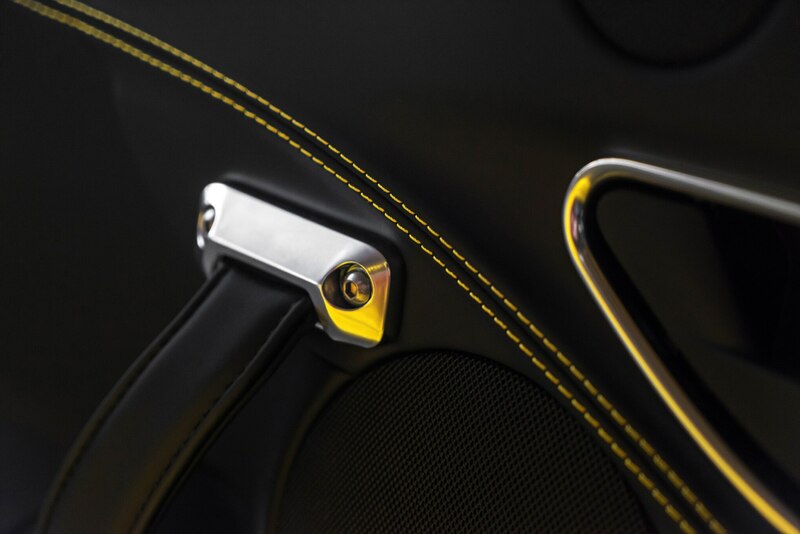 The folding fabric soft top can withstand speeds of up to 160 mph, which is plenty fast, and there’s no place to store the carbon-fiber roof except the passenger seat, if unoccupied. 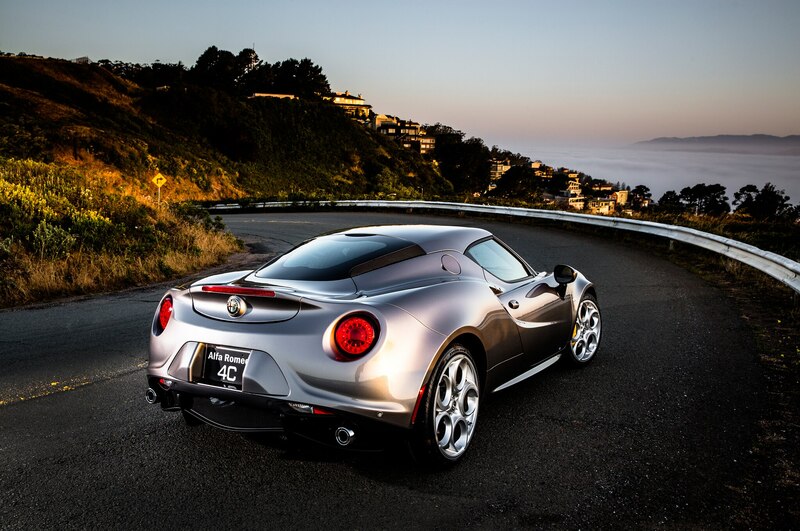 If you’re worried about going to the track, buy a 4C coupe. 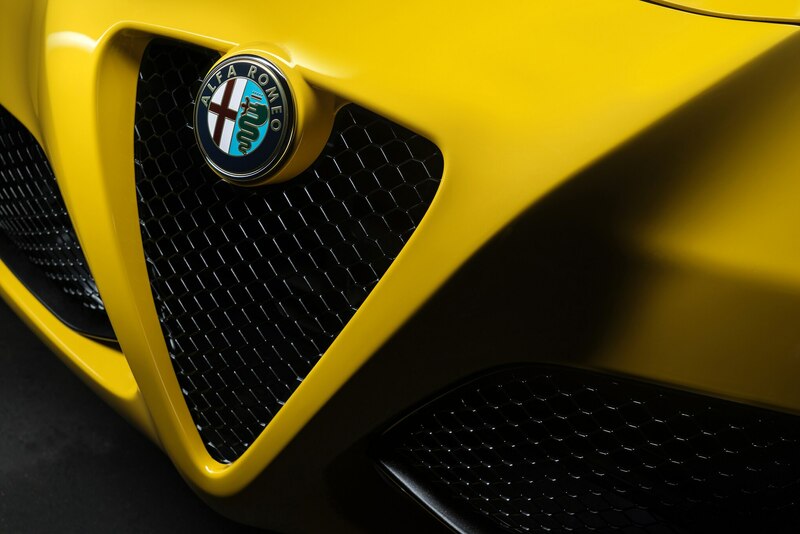 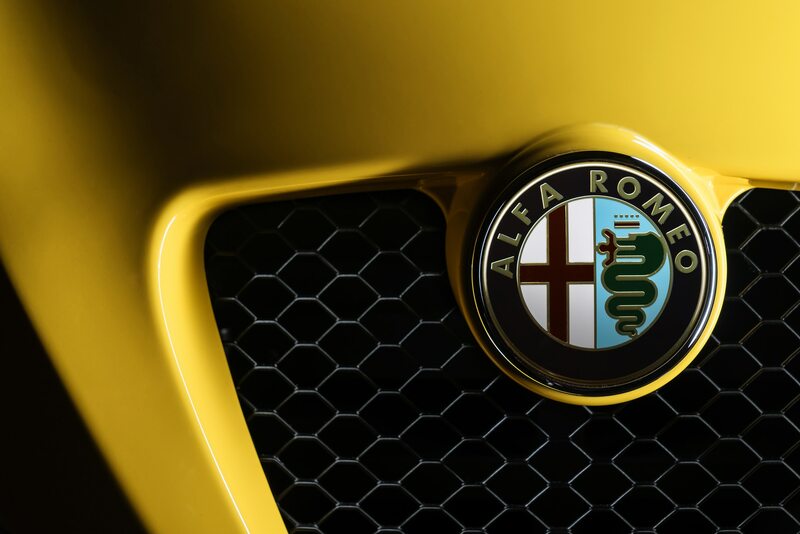 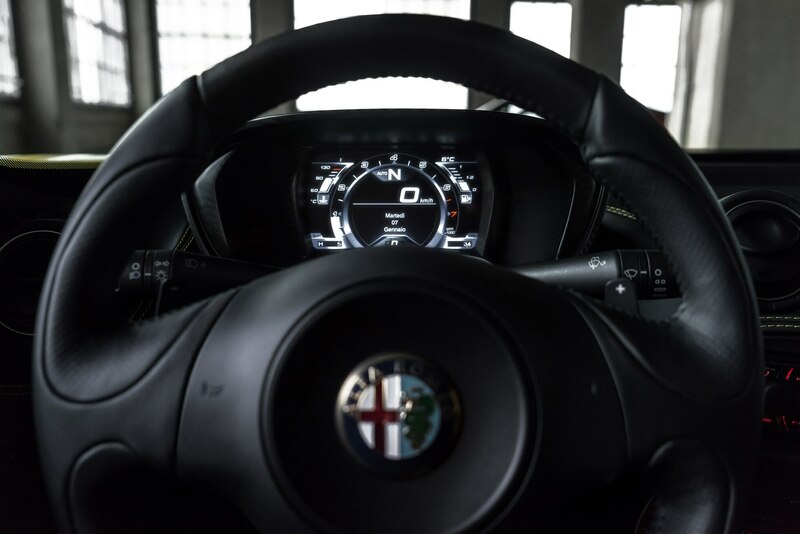 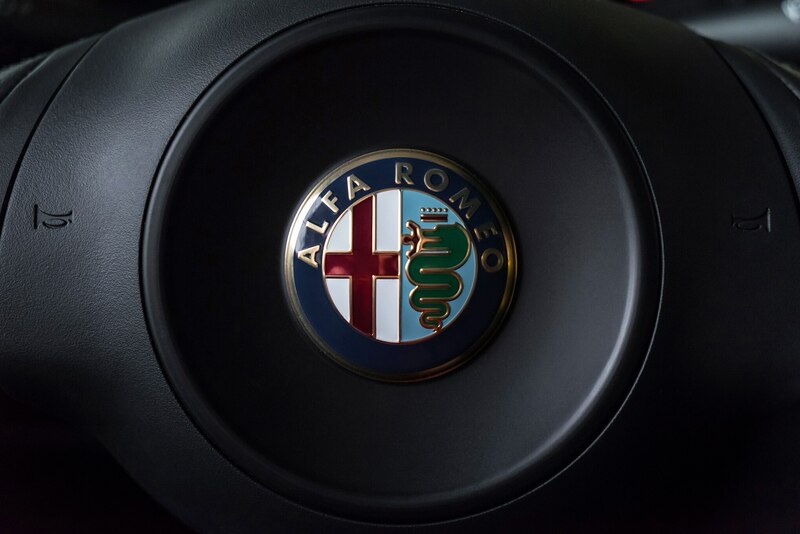 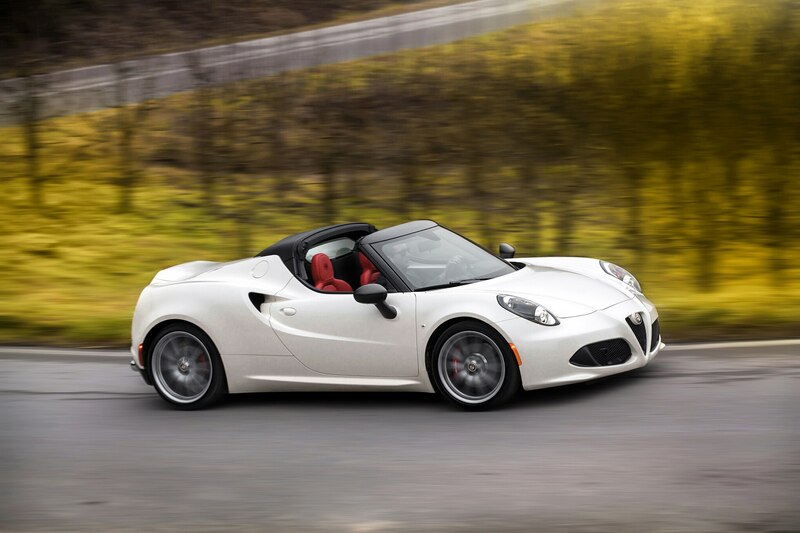 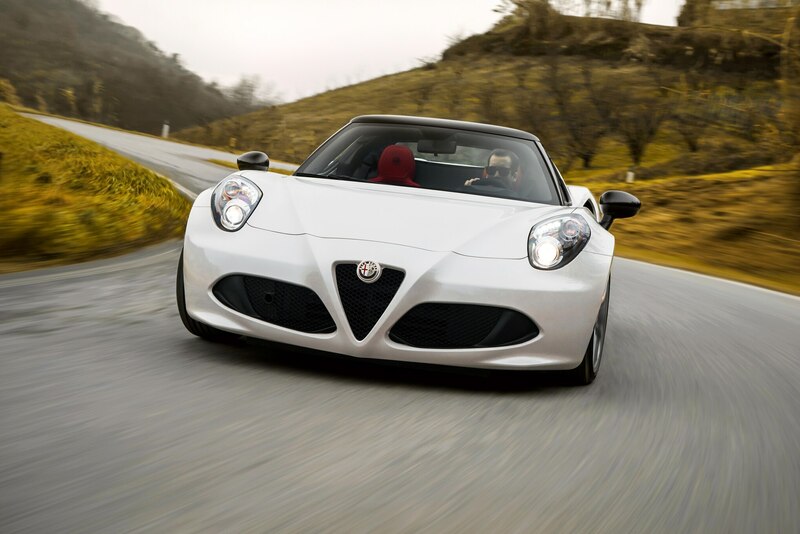 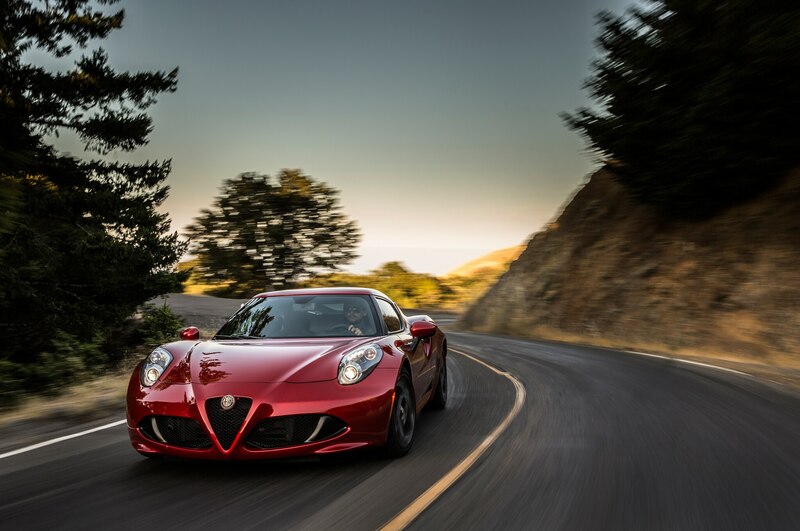 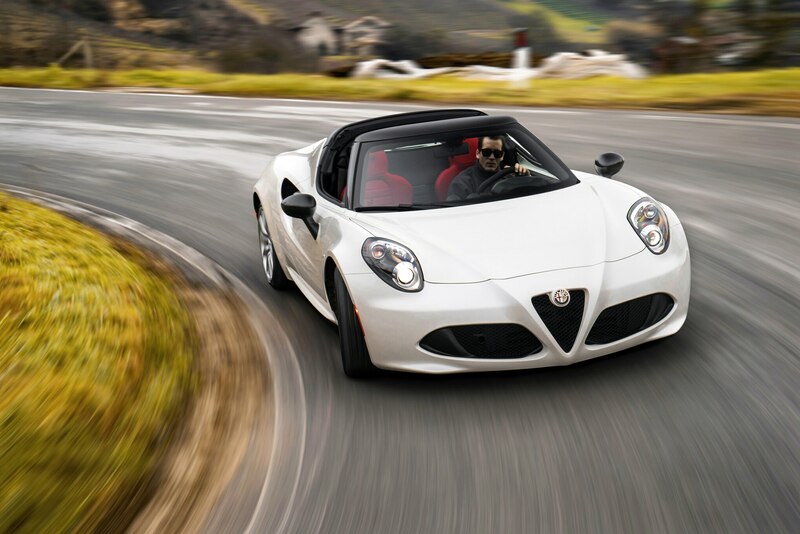 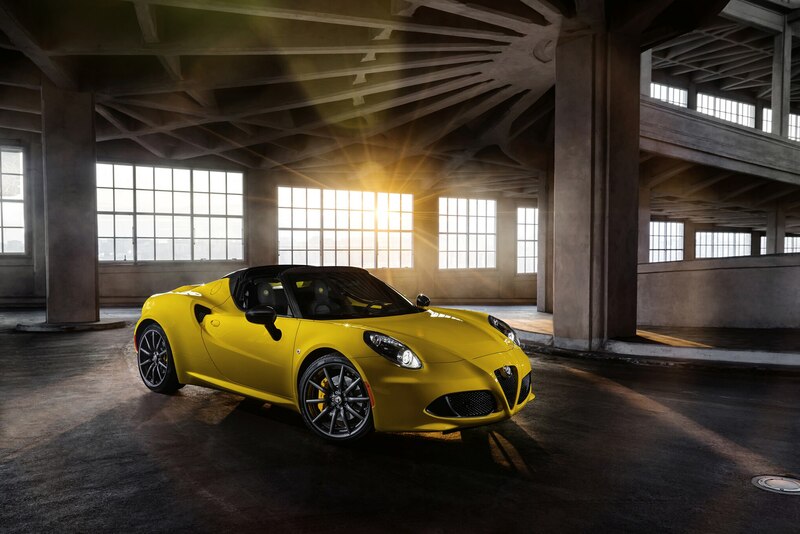 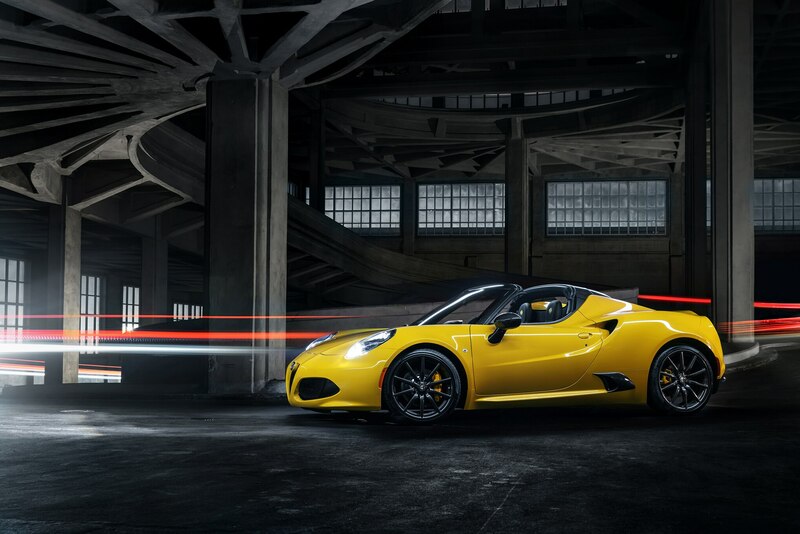 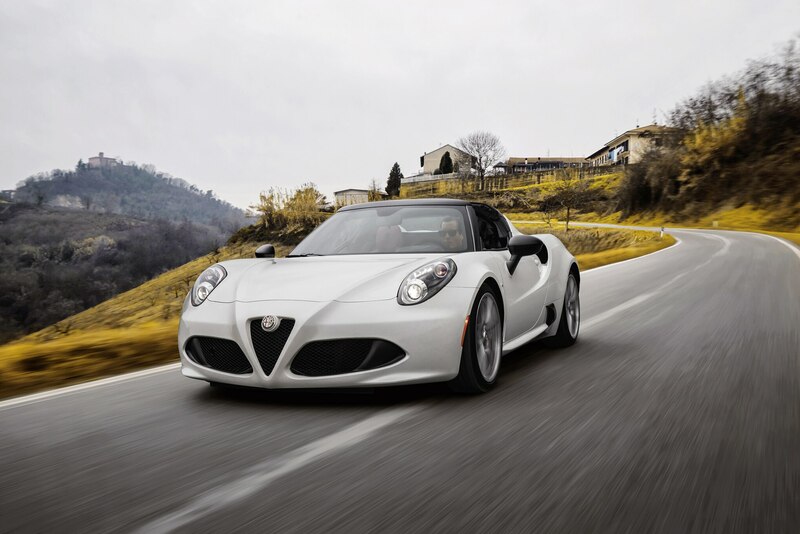 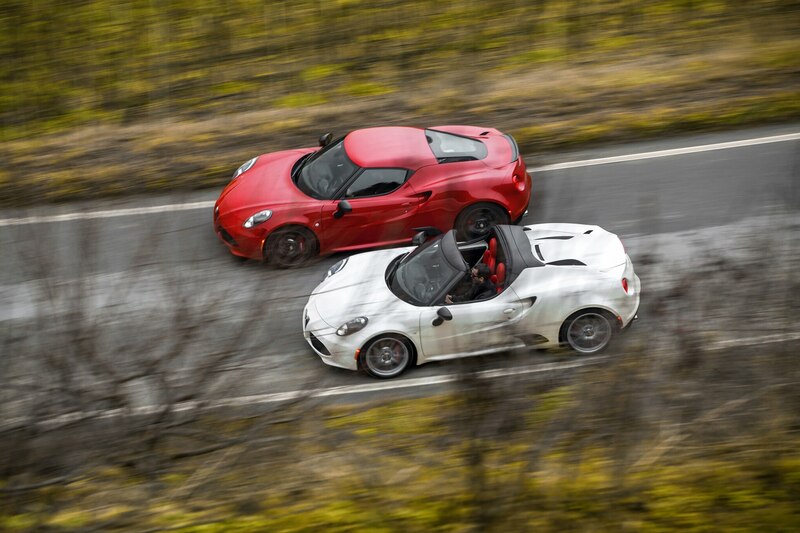 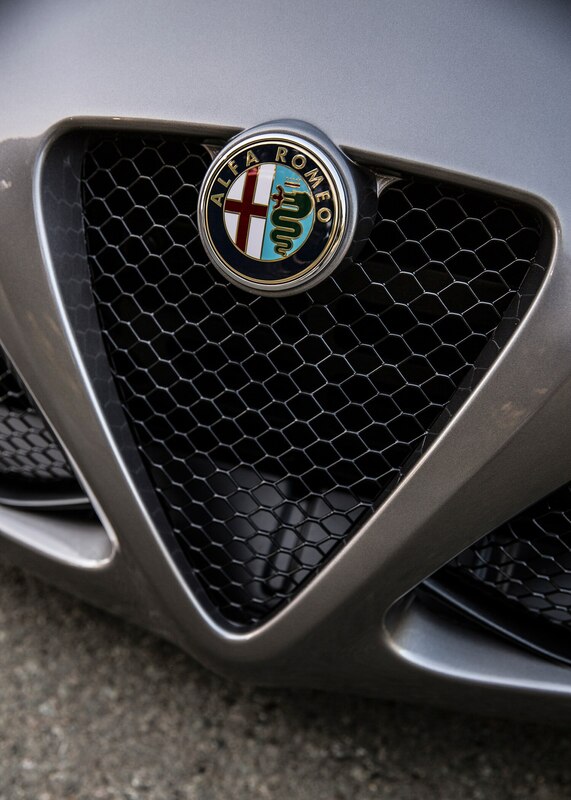 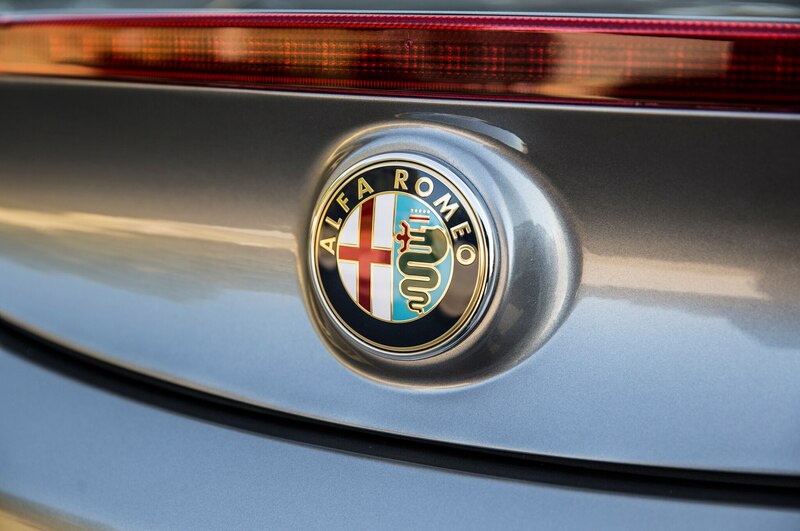 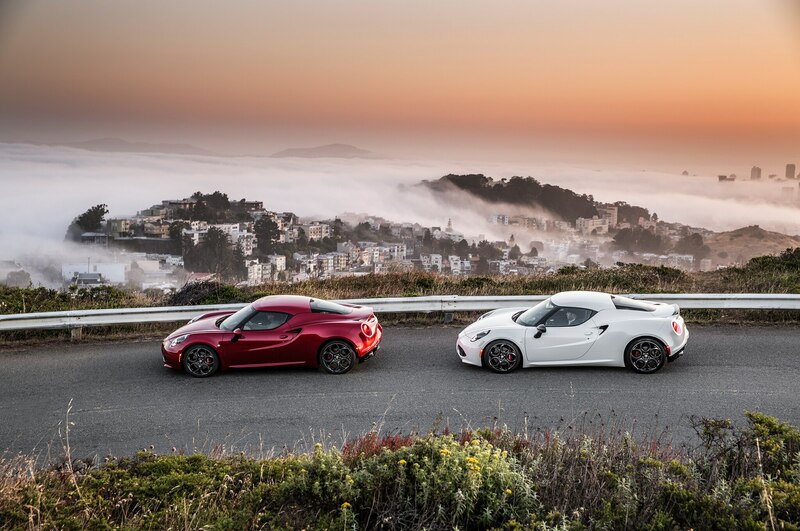 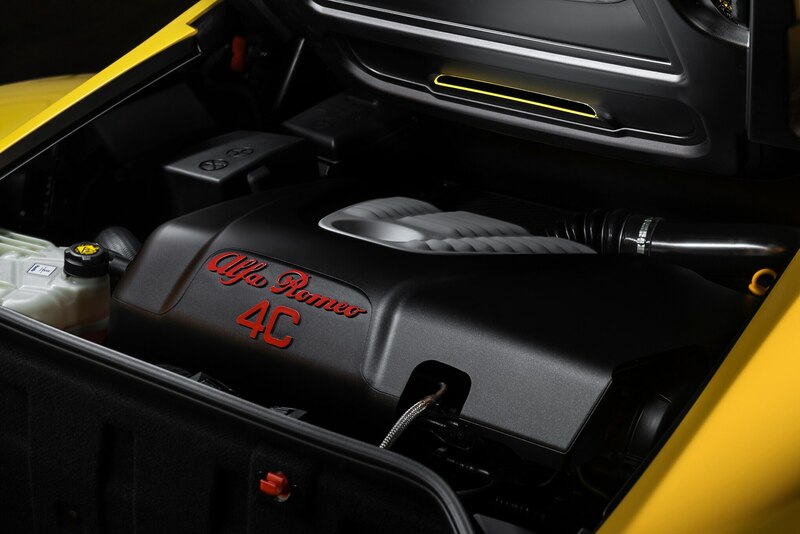 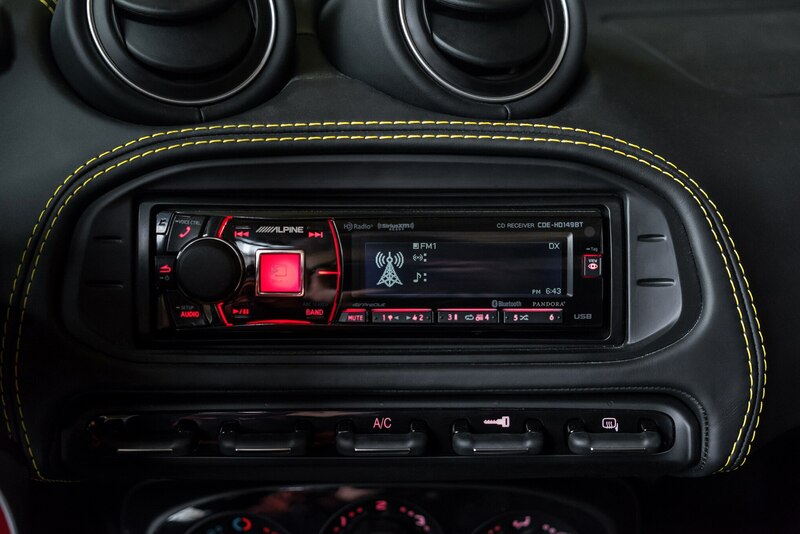 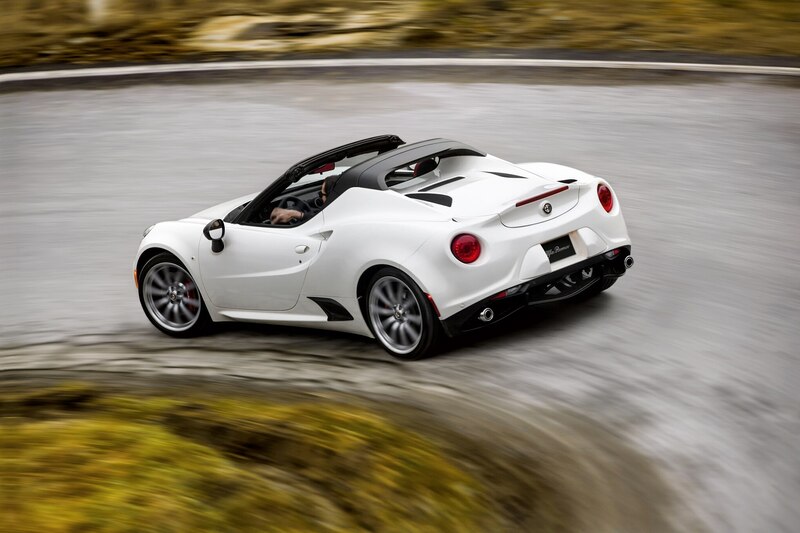 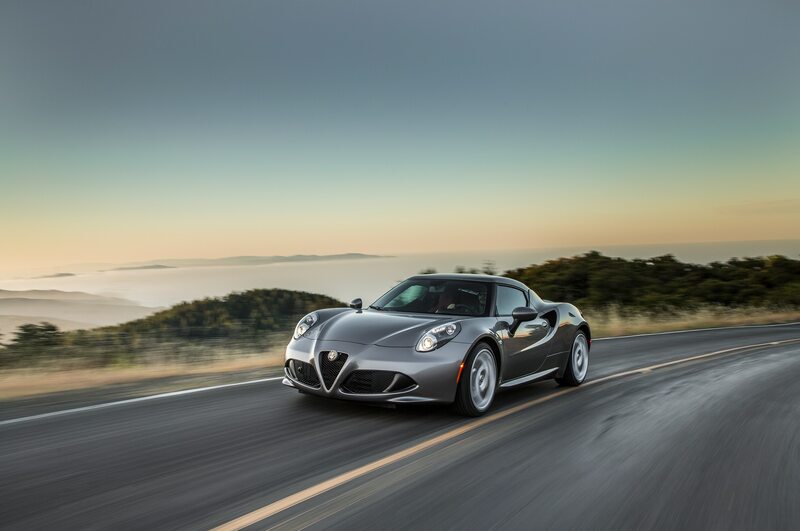 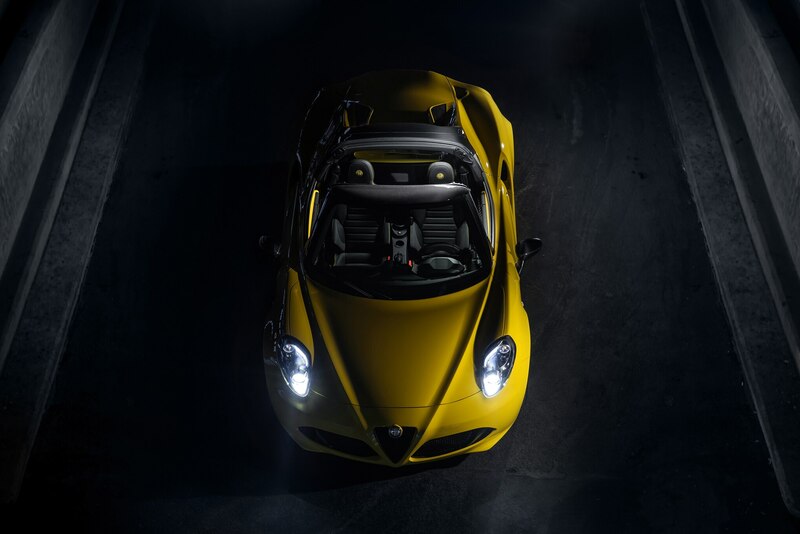 The 2015 Alfa Romeo 4C Spider will share the coupe’s powertrain, a 237-hp, 1.7-liter turbocharged inline-four engine paired with a 6-speed dual-clutch transmission. 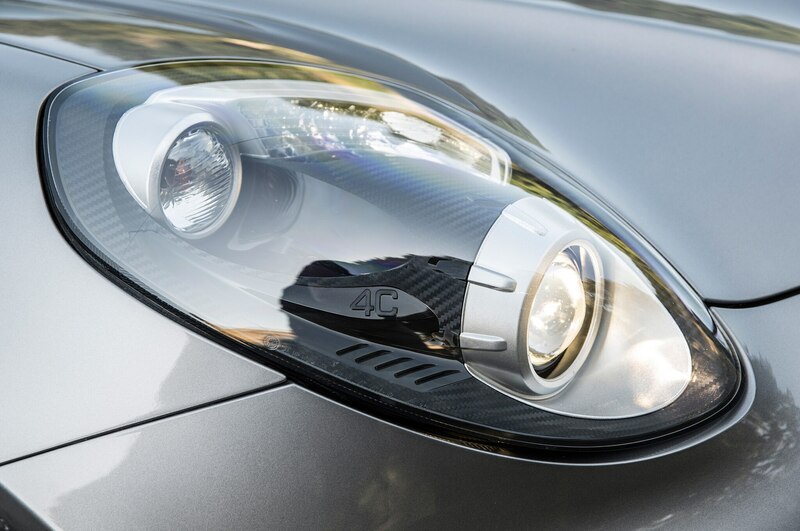 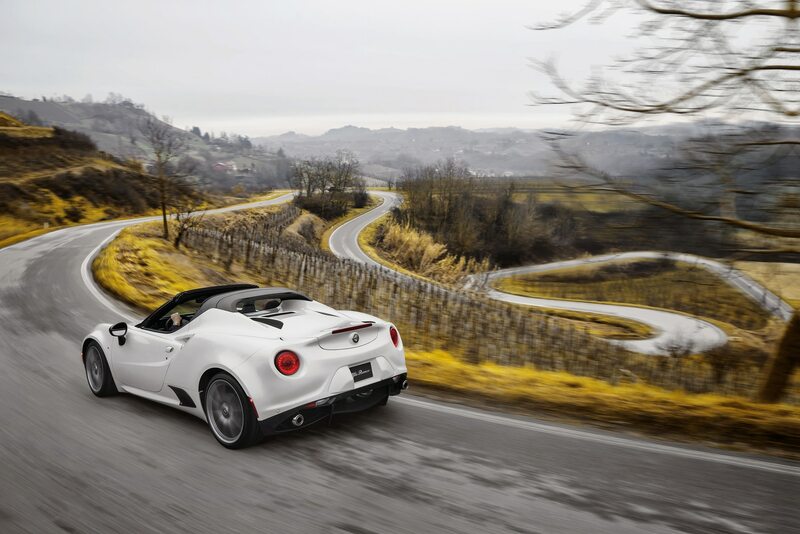 While we haven’t driven the 4C Spider, there’s no reason to believe that its slight, 22-lb weight gain will neuter the car’s performance or handling in any way. 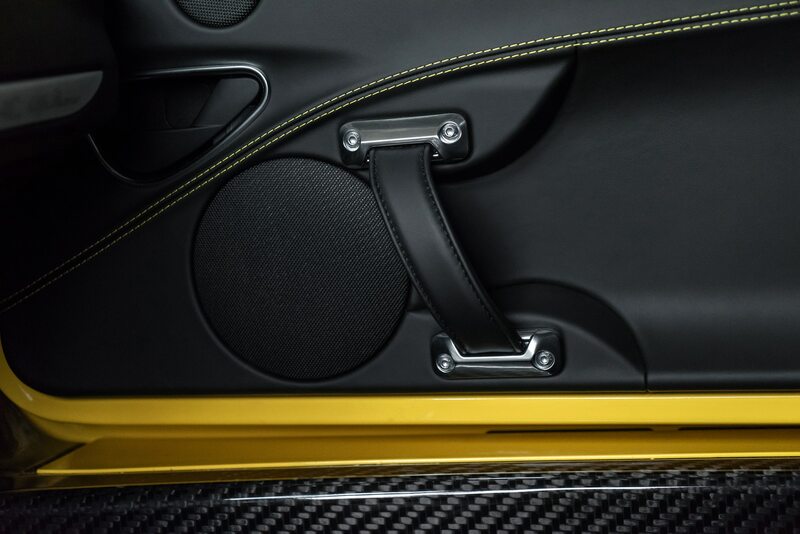 As for the design, there’s no denying the Spider loses something. 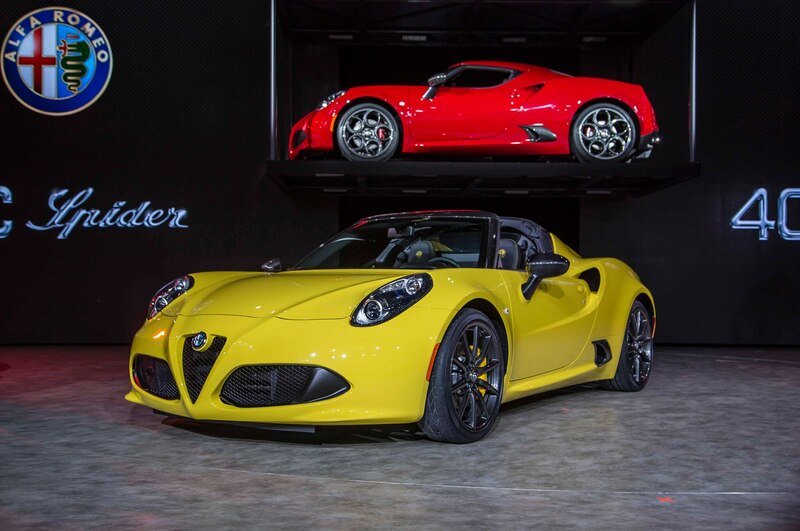 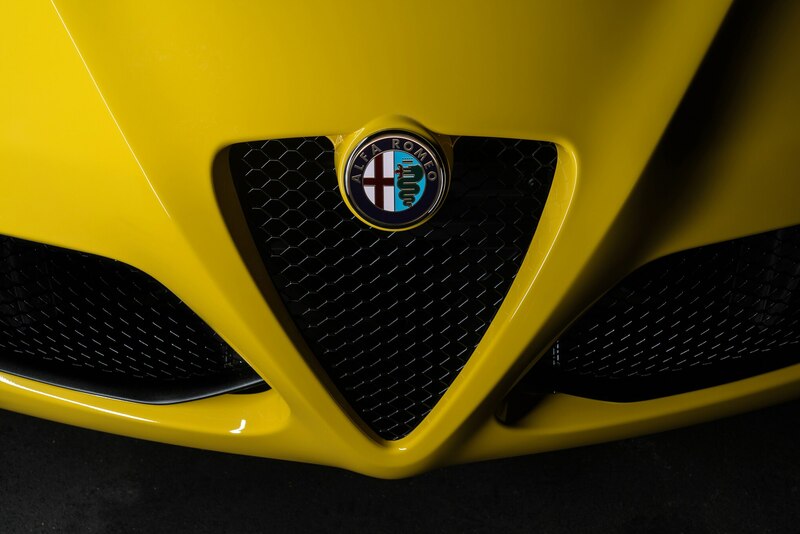 At Alfa’s preview, a white coupe had been parked next to the yellow and exposed carbon-fiber Spider show car, which looked bottom-heavy and fatter from the beltline down. 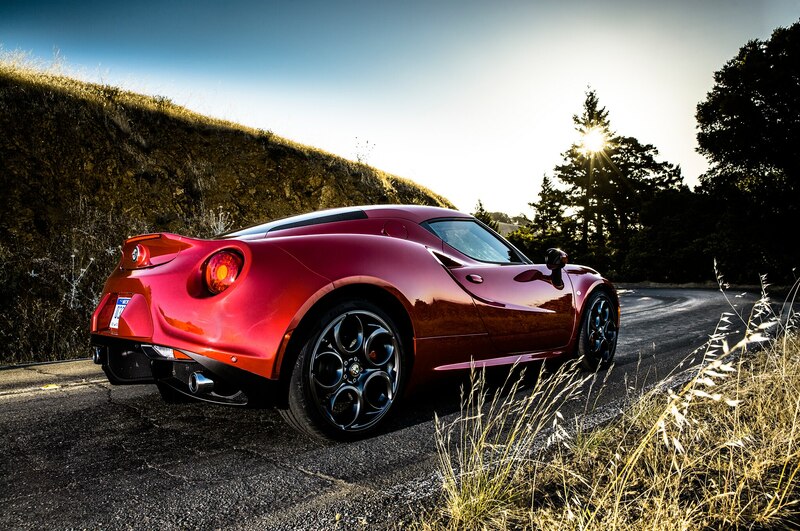 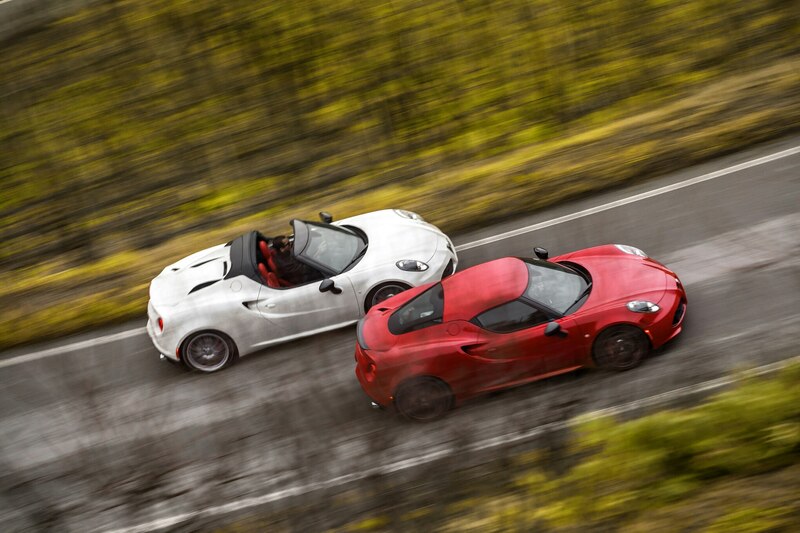 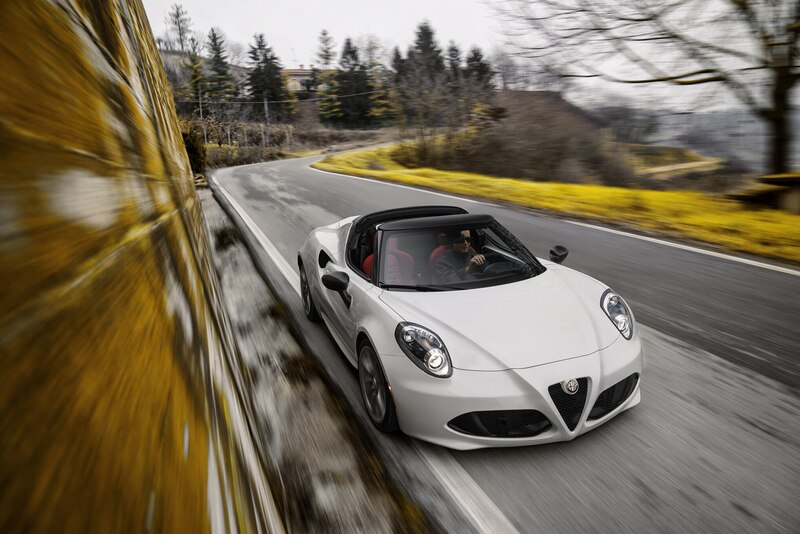 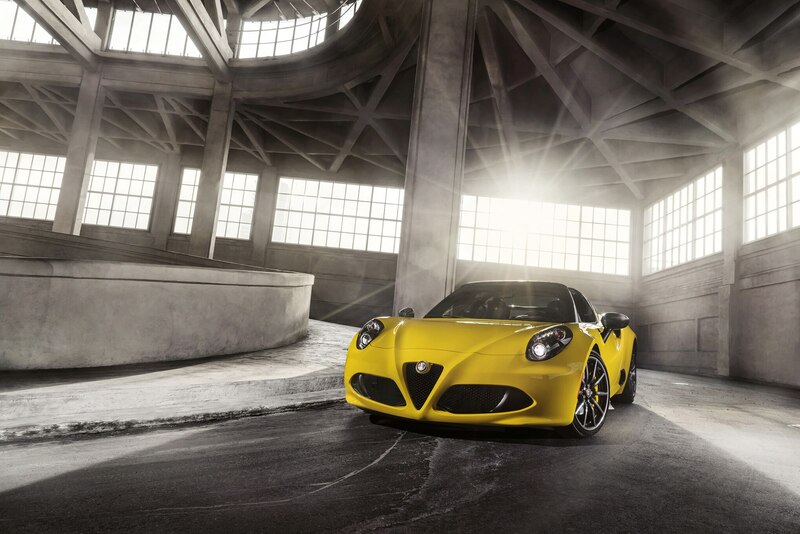 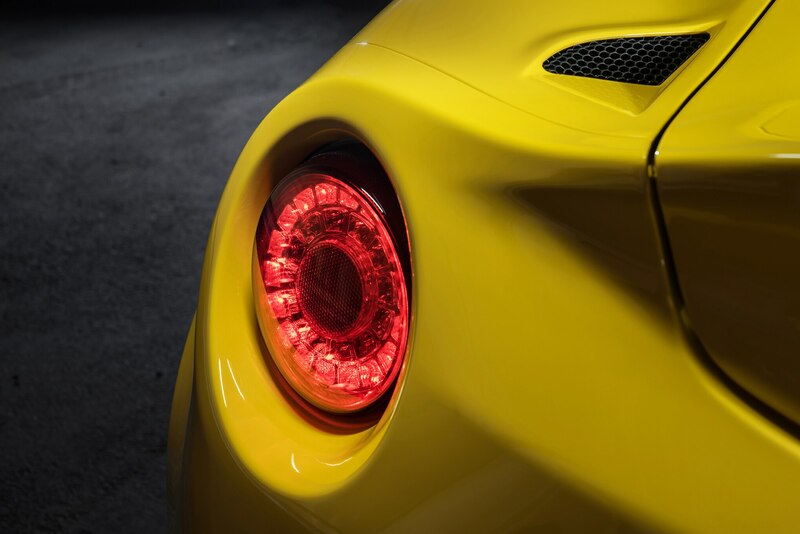 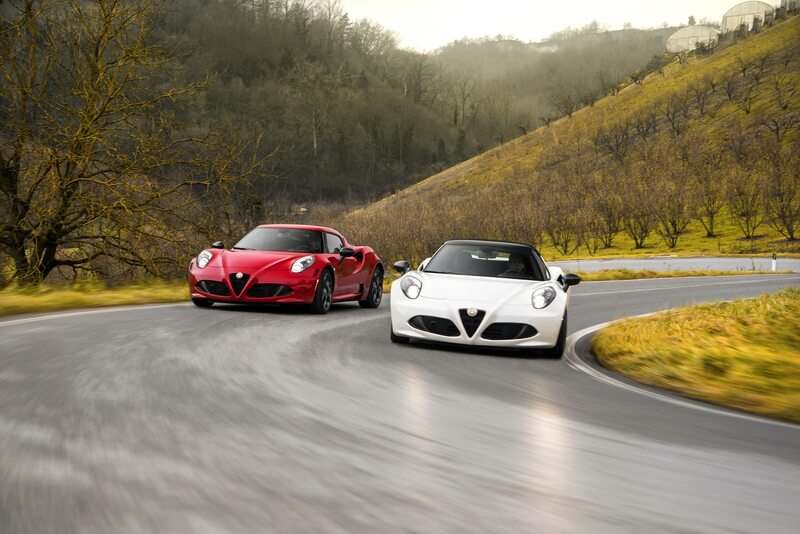 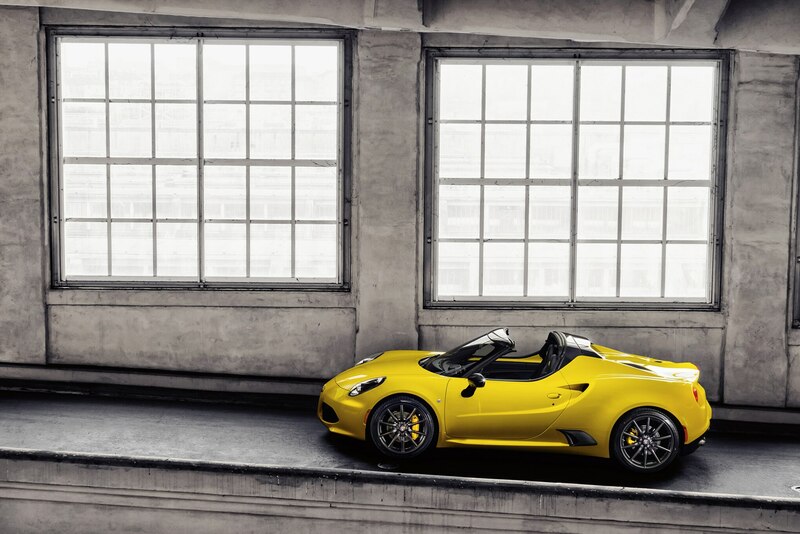 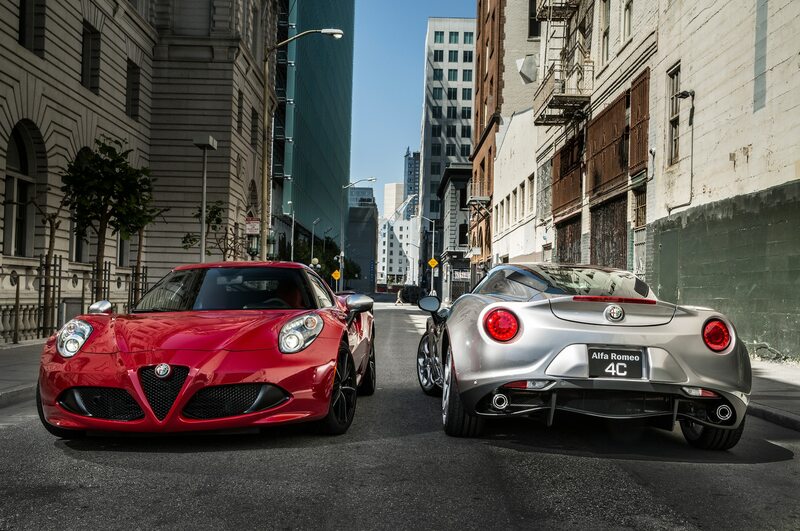 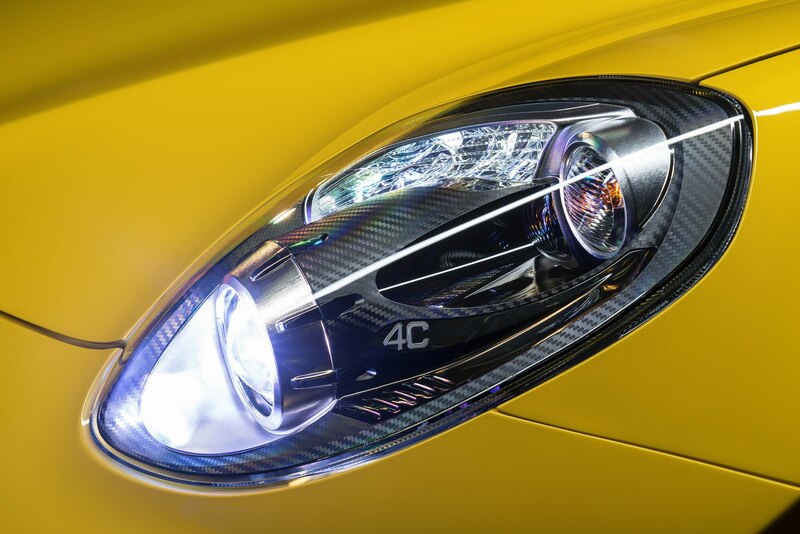 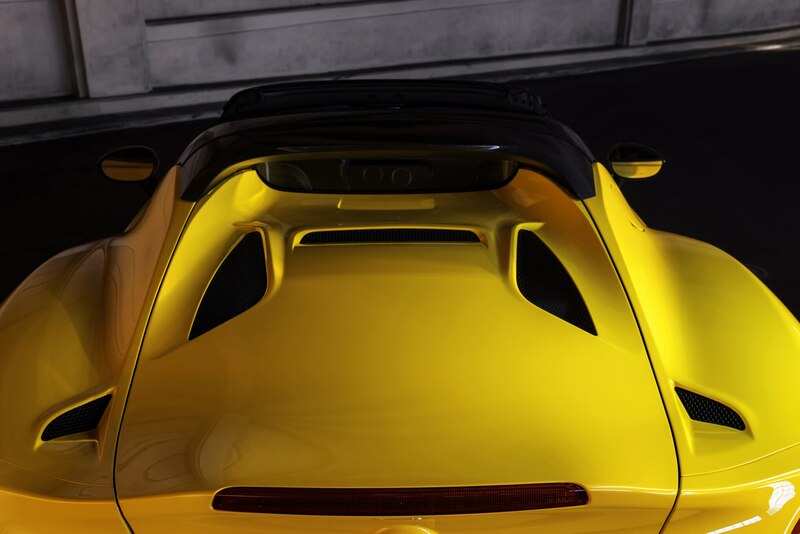 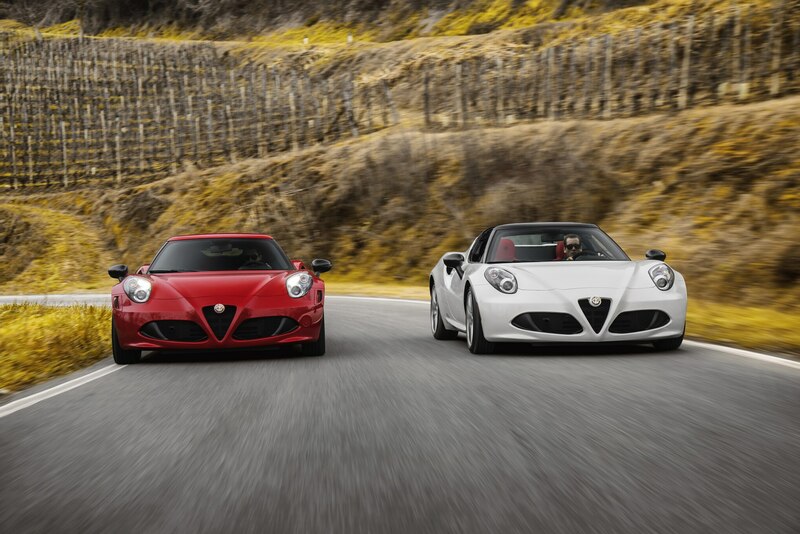 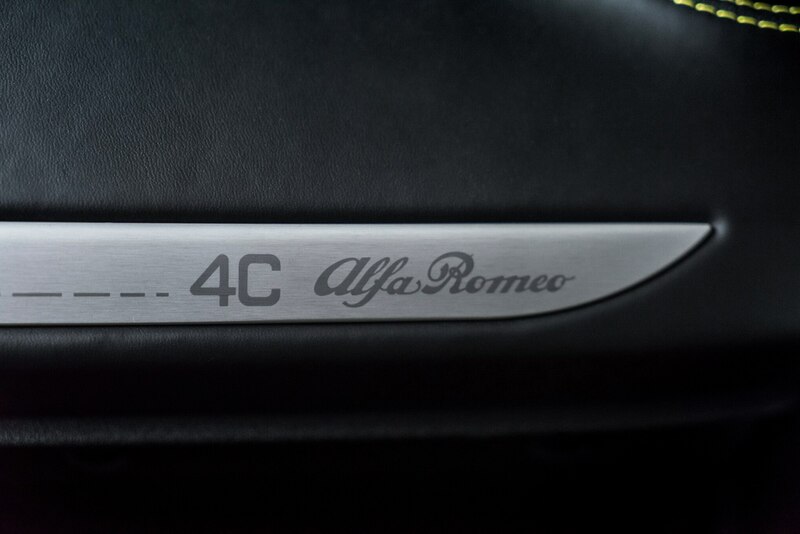 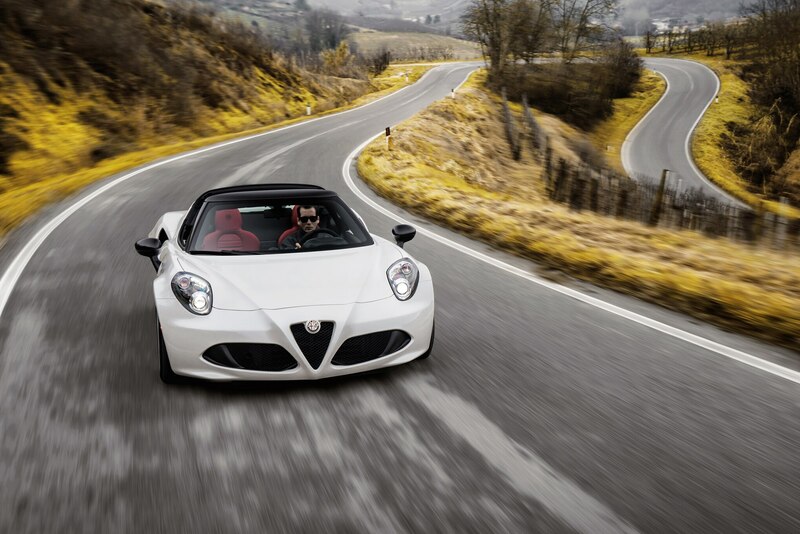 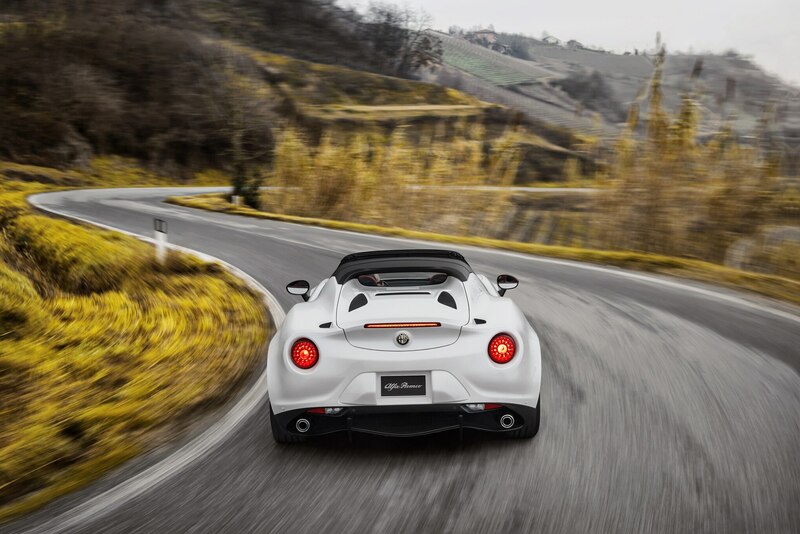 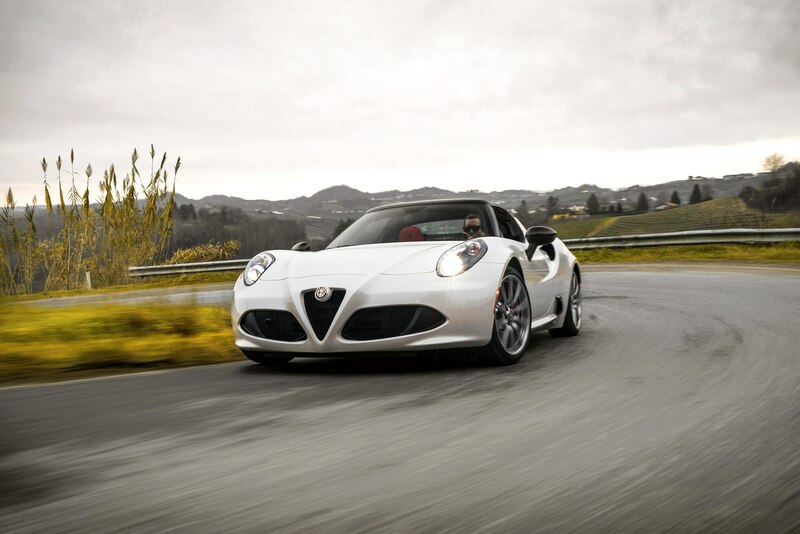 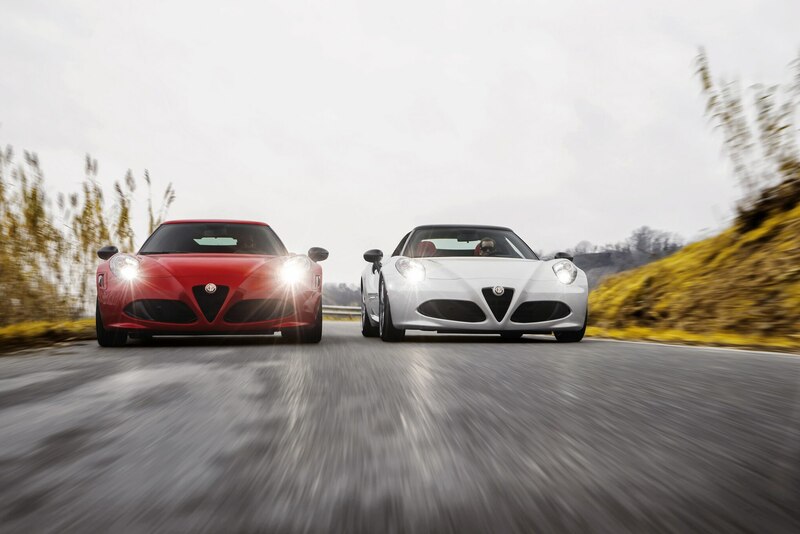 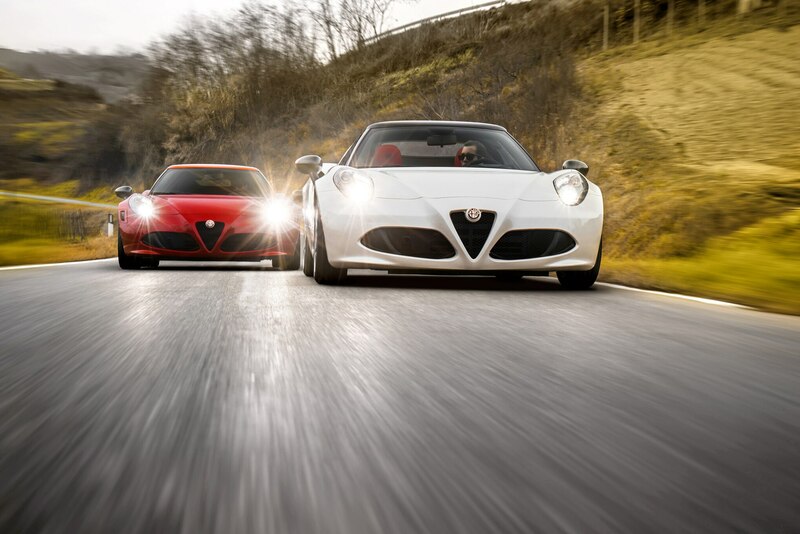 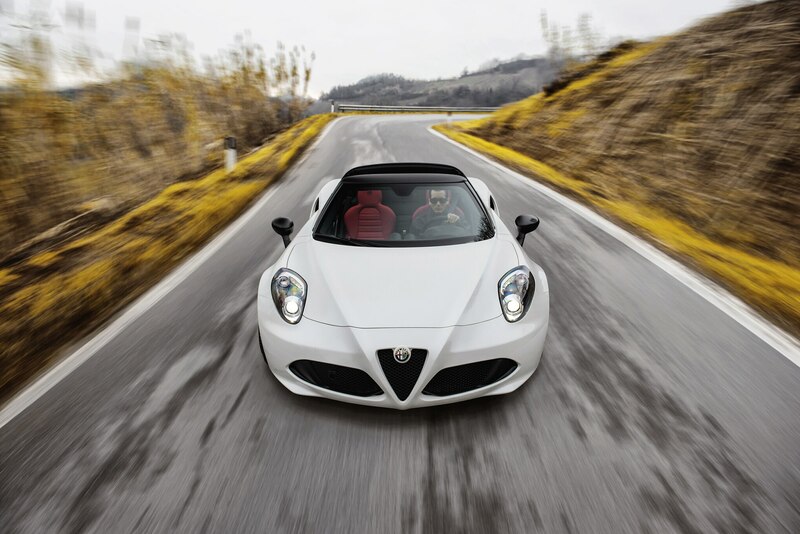 The 4C Spider will account for about 40 percent of the very limited 4C production. 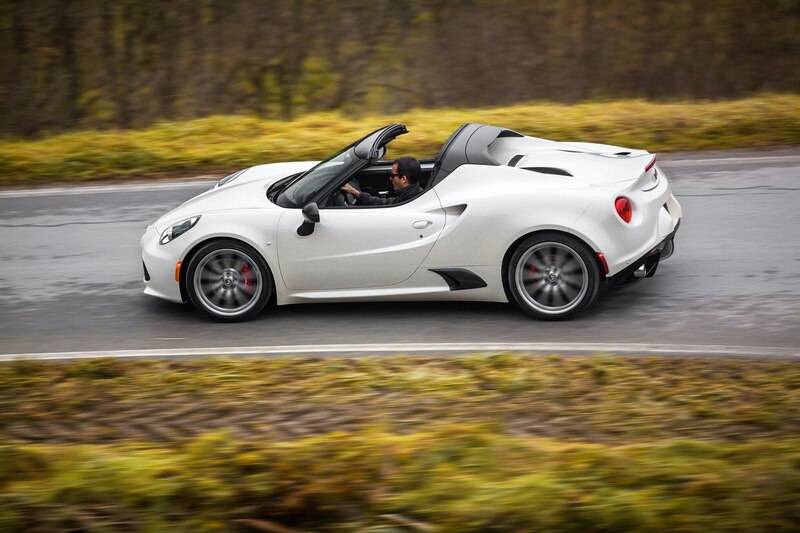 (Alfa only sold 67 coupes in the United States last year, so don’t expect to see a 4C Spider in the gym parking lot anytime soon.) 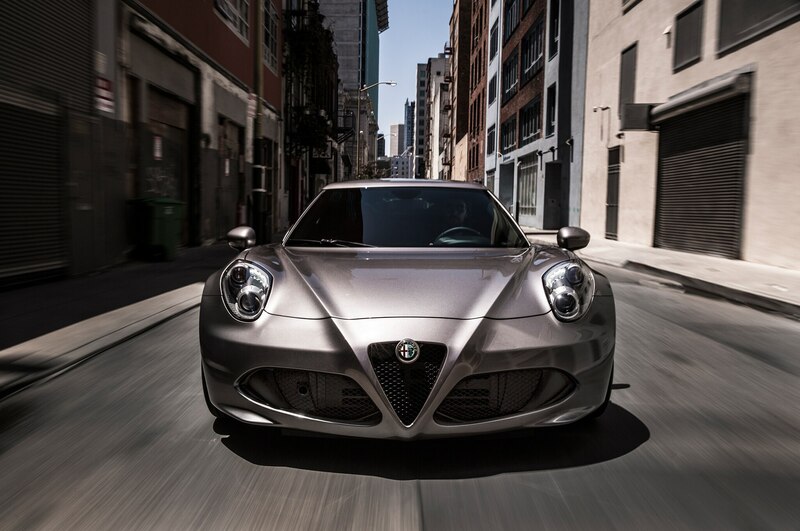 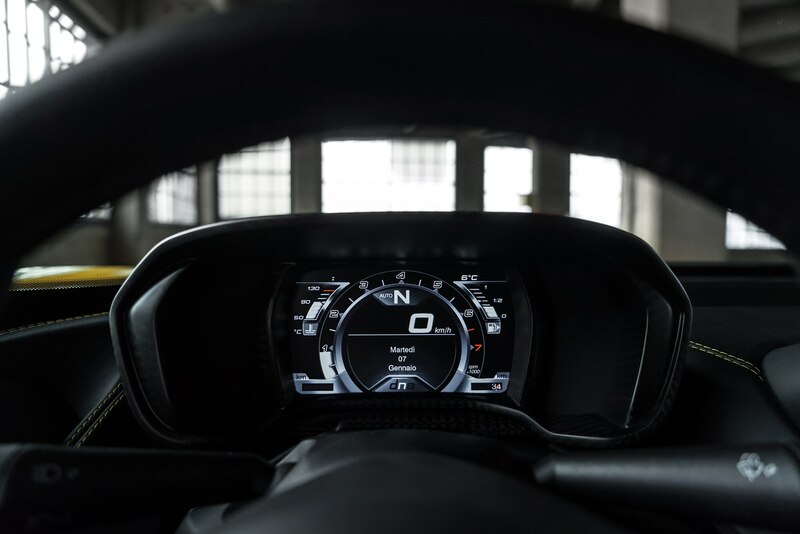 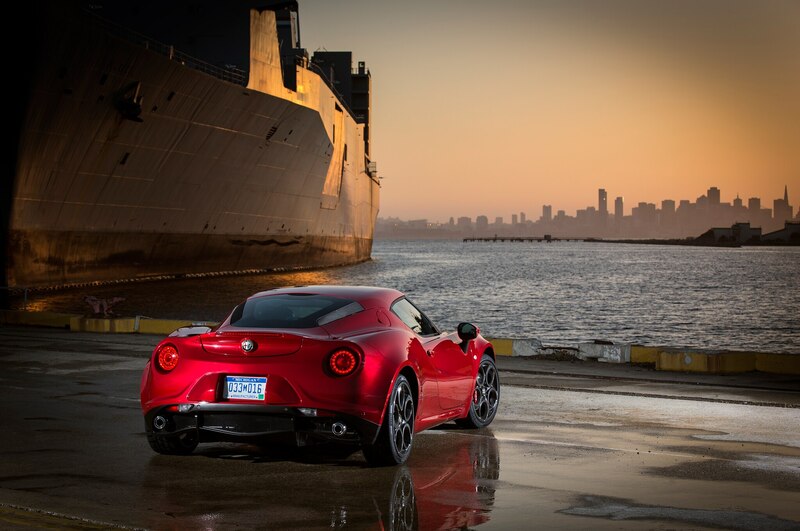 The company needs six weeks to build each 4C, which uses labor-intensive body components like a carbon-fiber monocoque tub, sheet-molded compound body panels, and aluminum front and rear subframes. 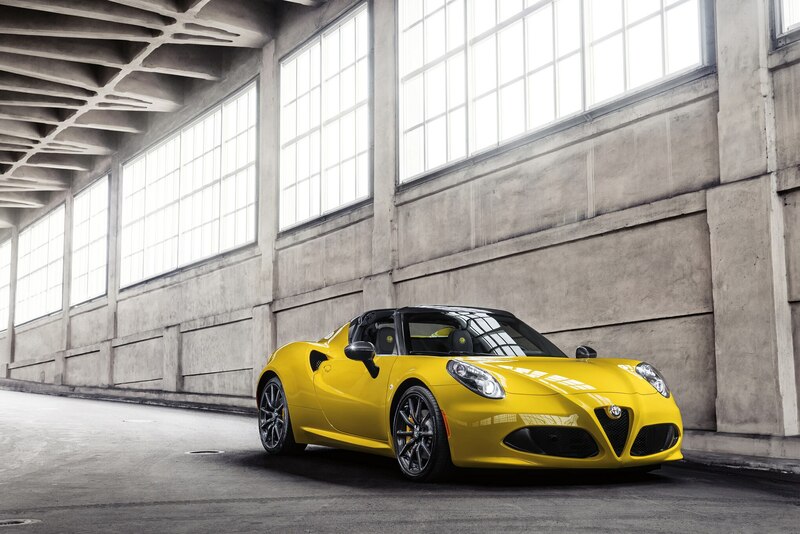 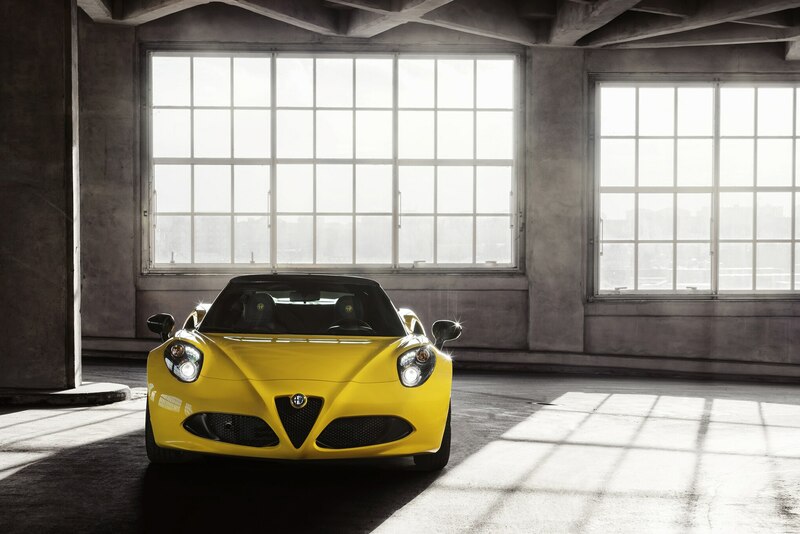 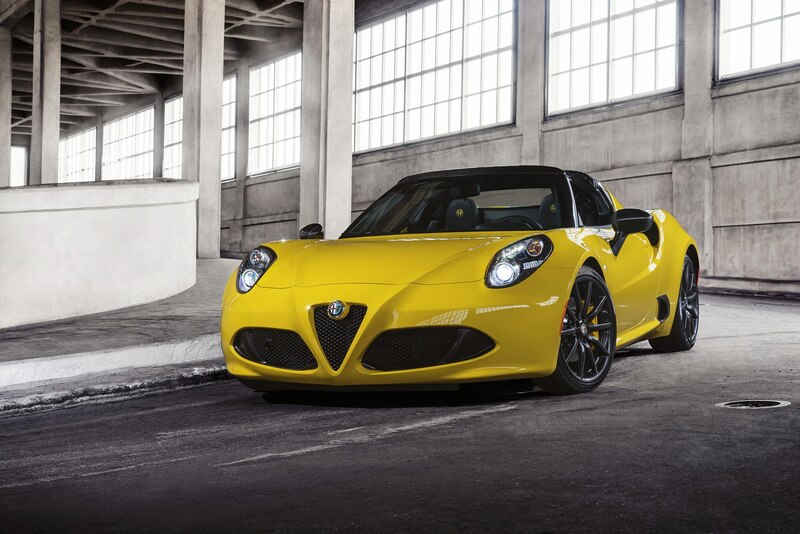 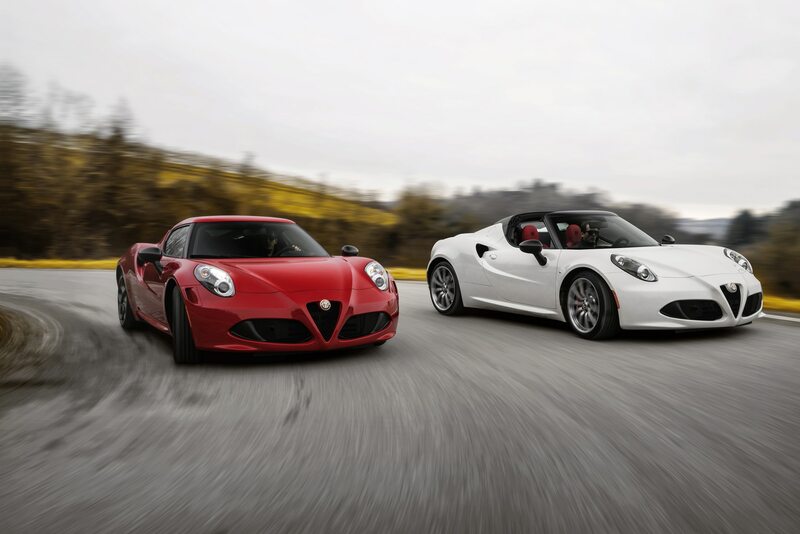 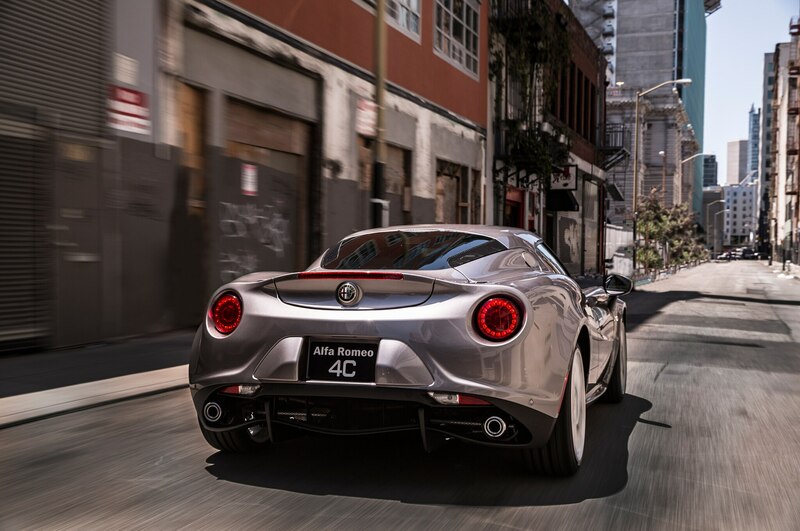 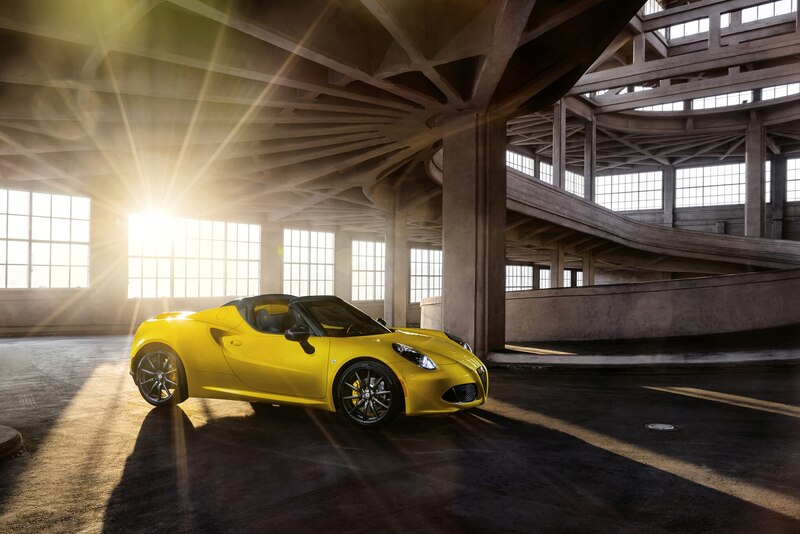 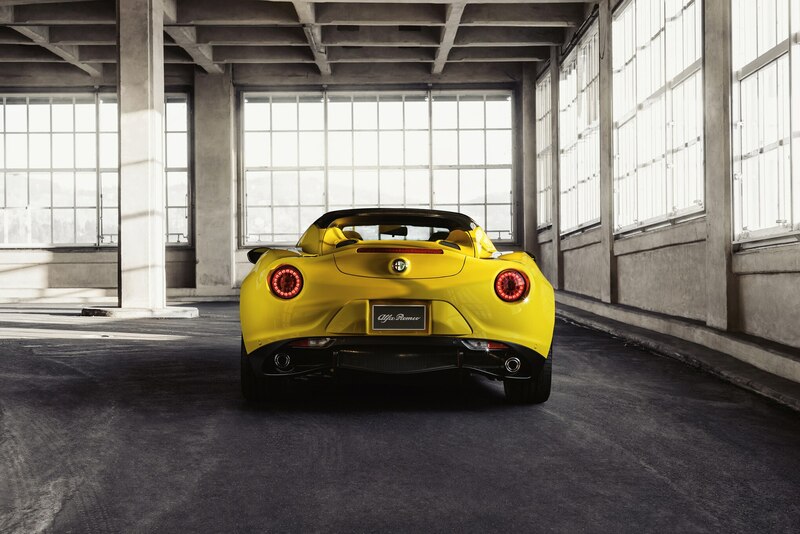 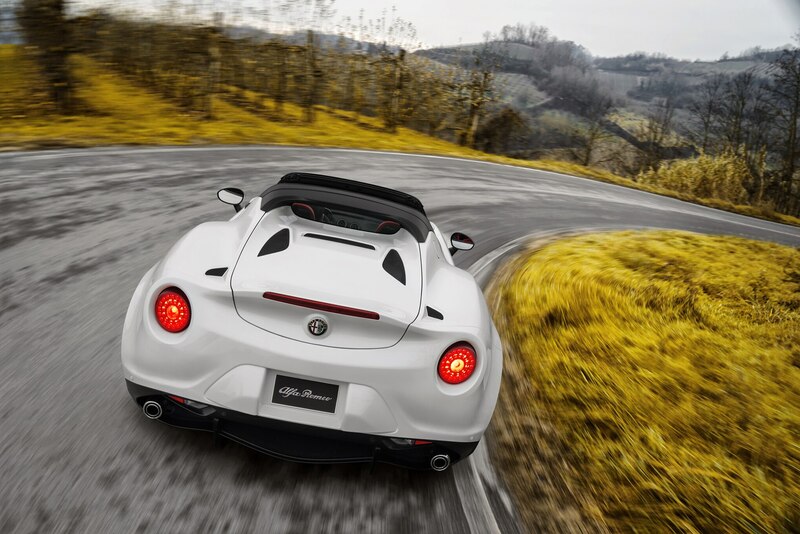 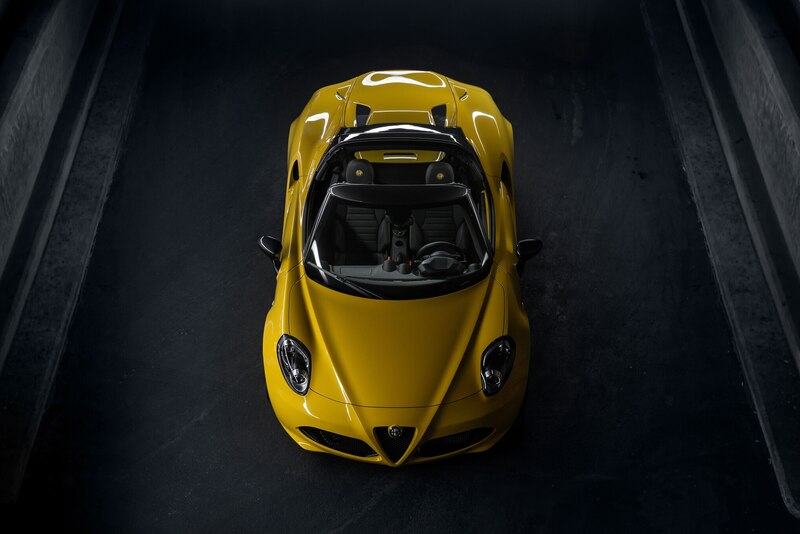 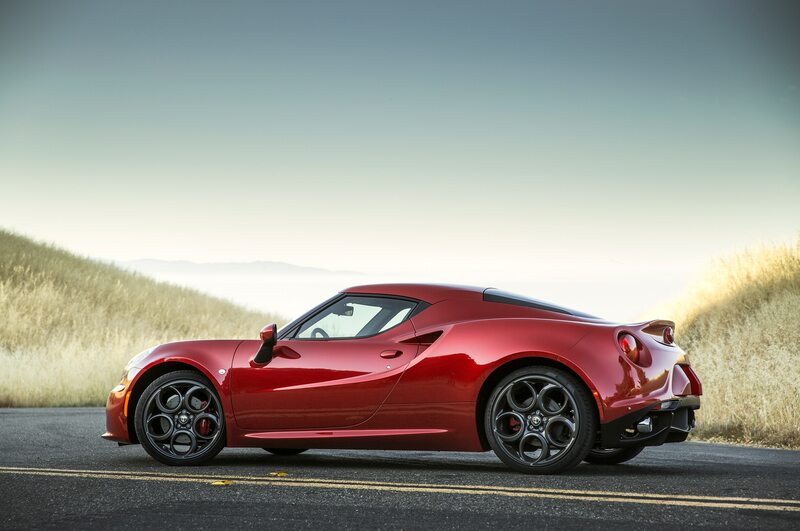 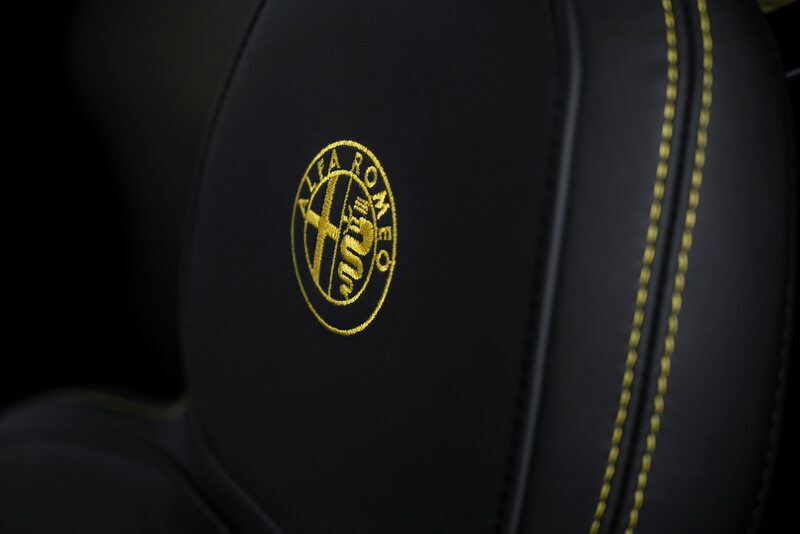 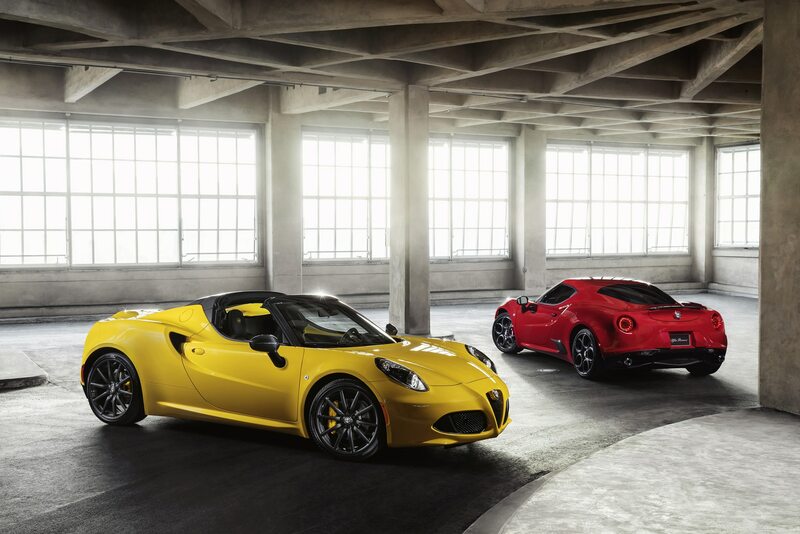 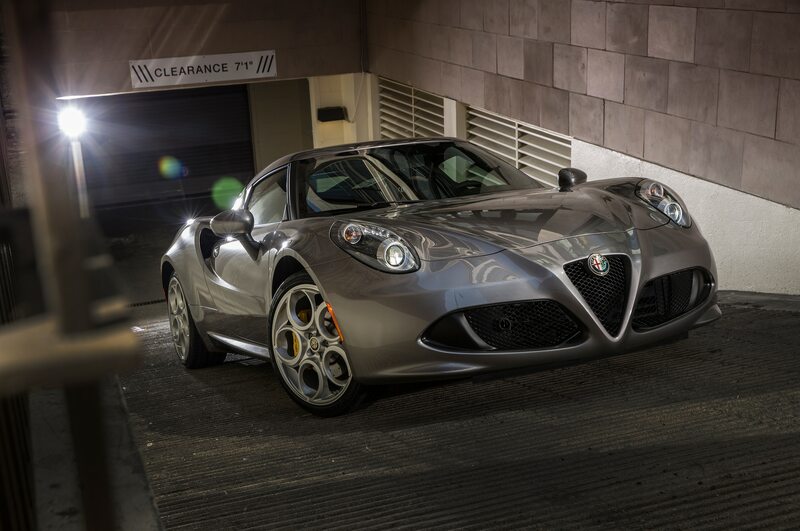 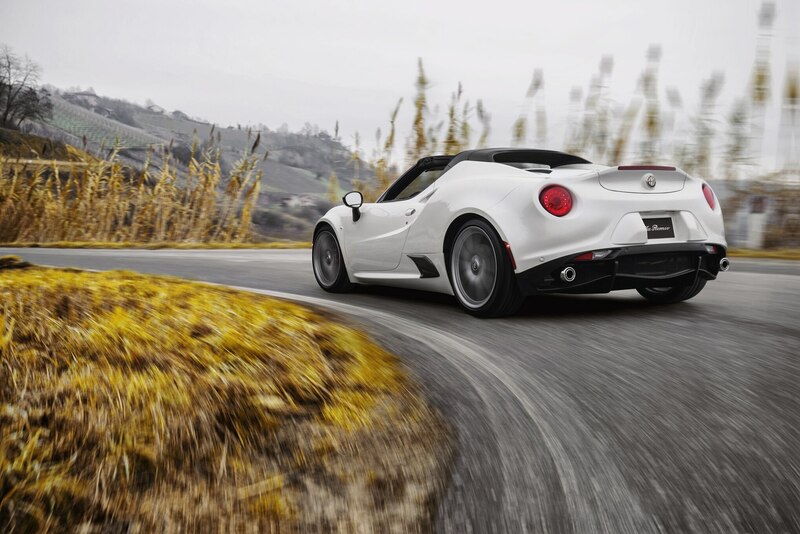 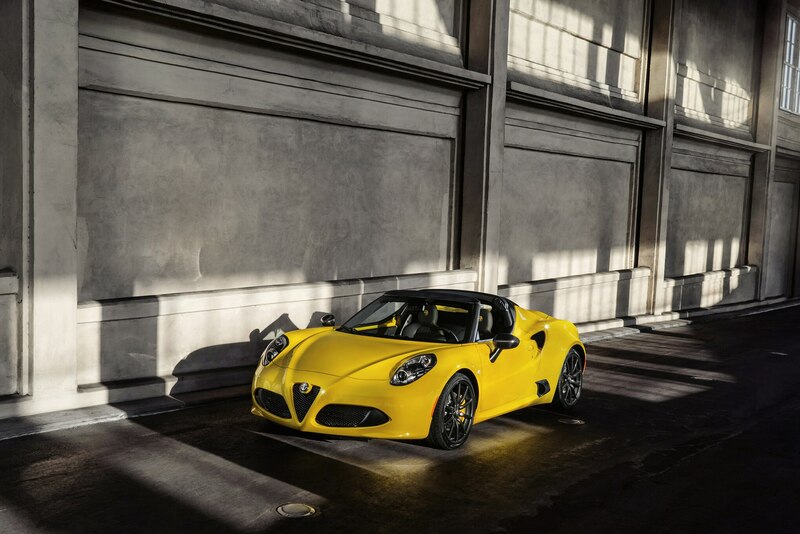 All that work adds up, and Alfa executives hinted that the 4C Spider would be sold in the $60,000 to $85,000 price range. 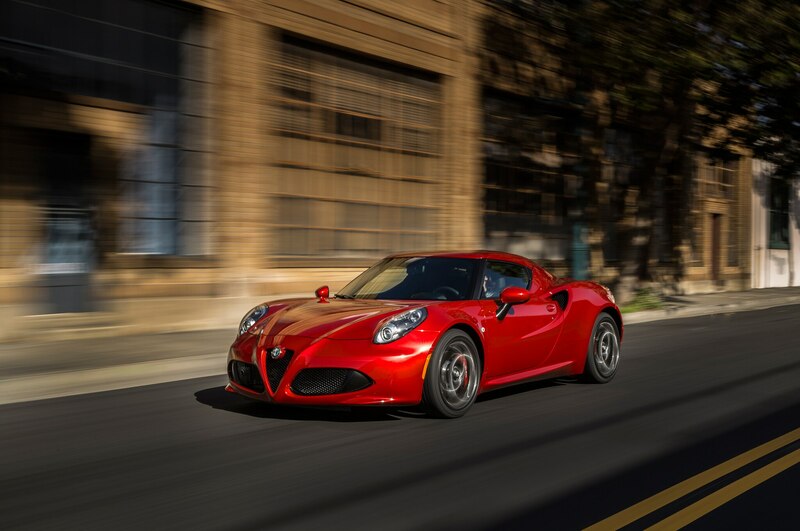 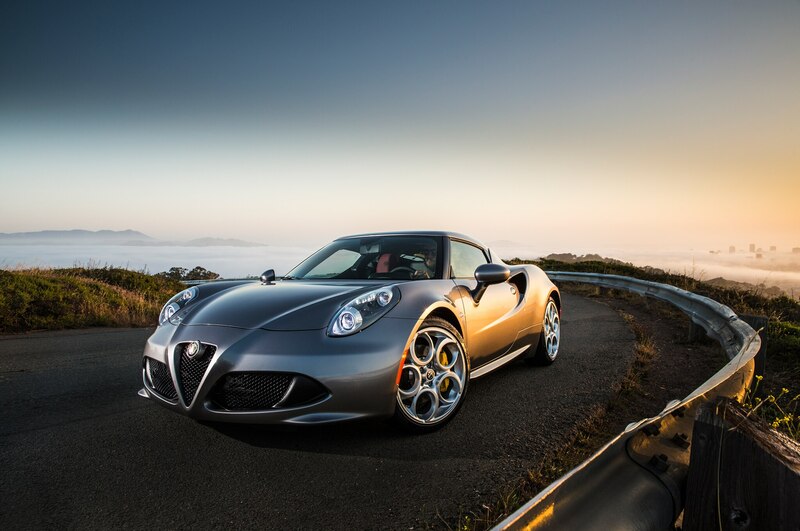 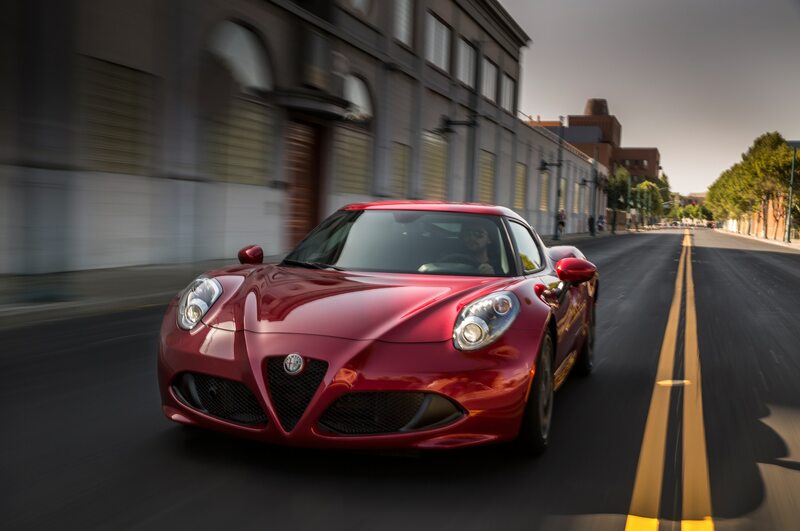 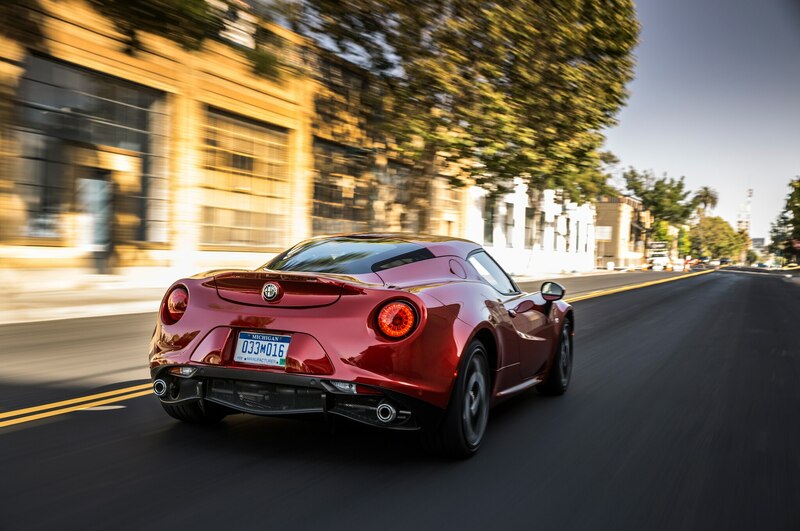 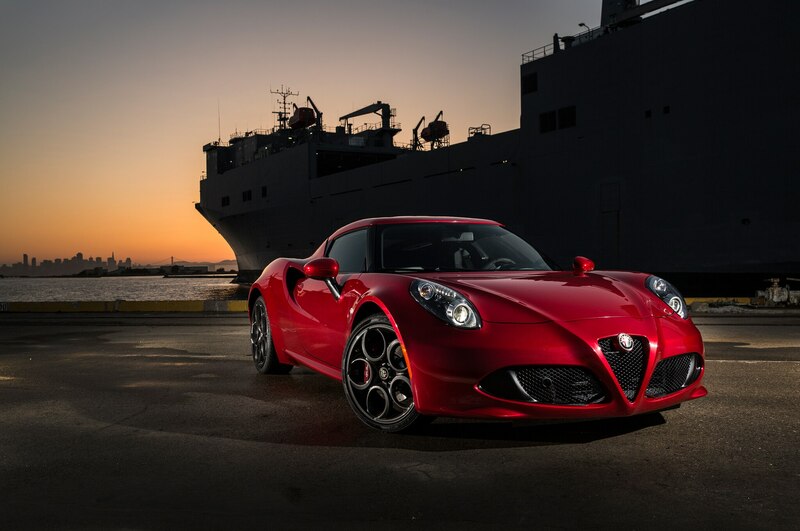 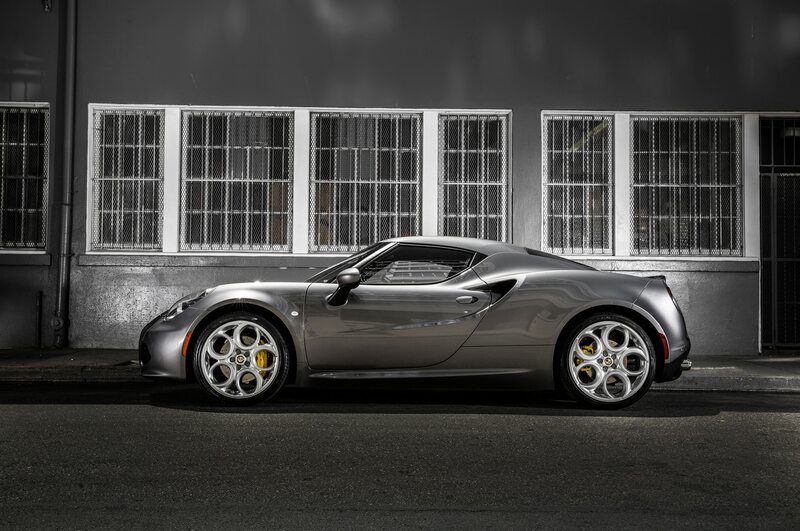 The coupe has a base price of $55,195, but Alfa says the average transaction price for 4C coupes sold so far is around $70,000. 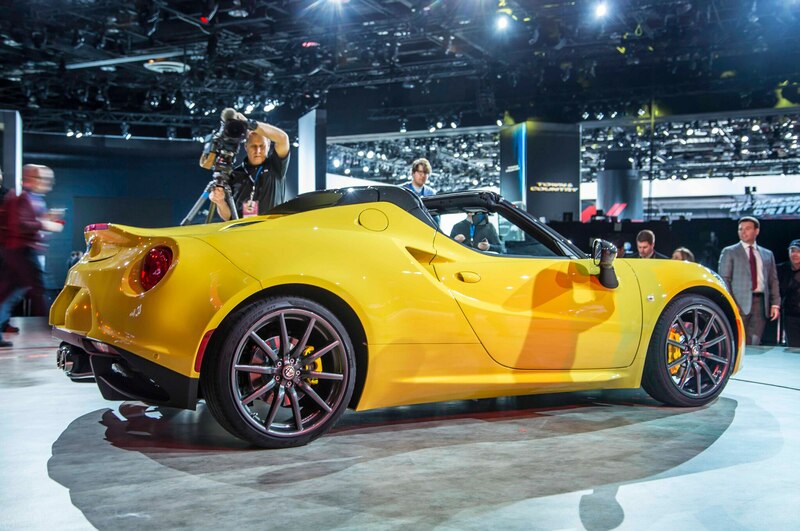 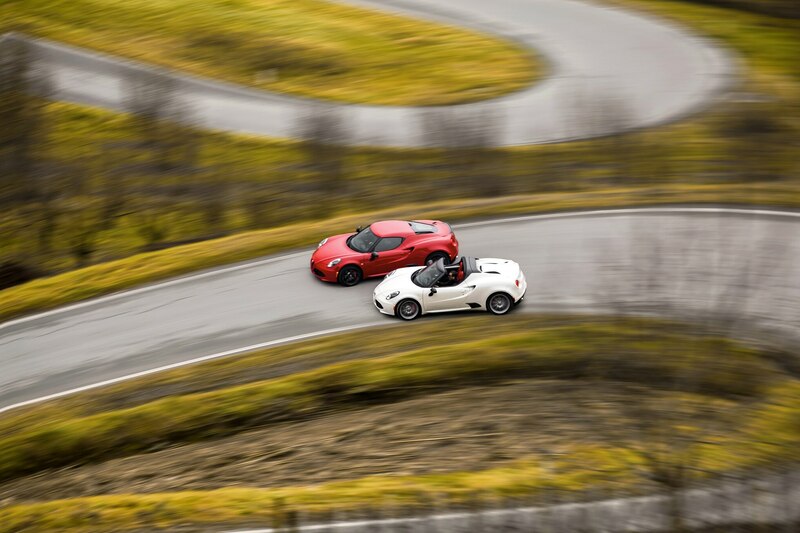 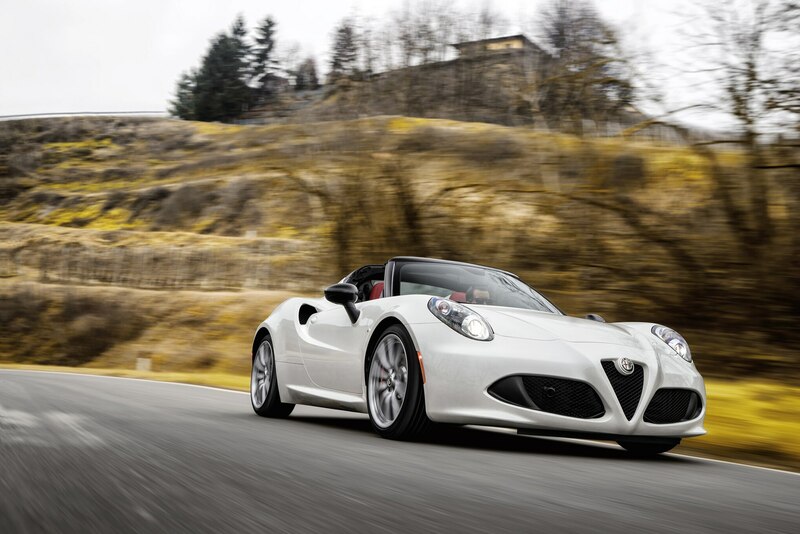 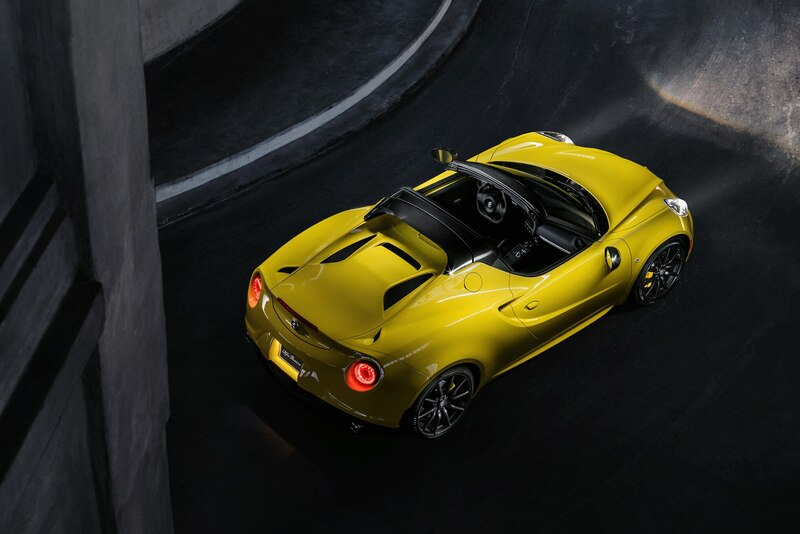 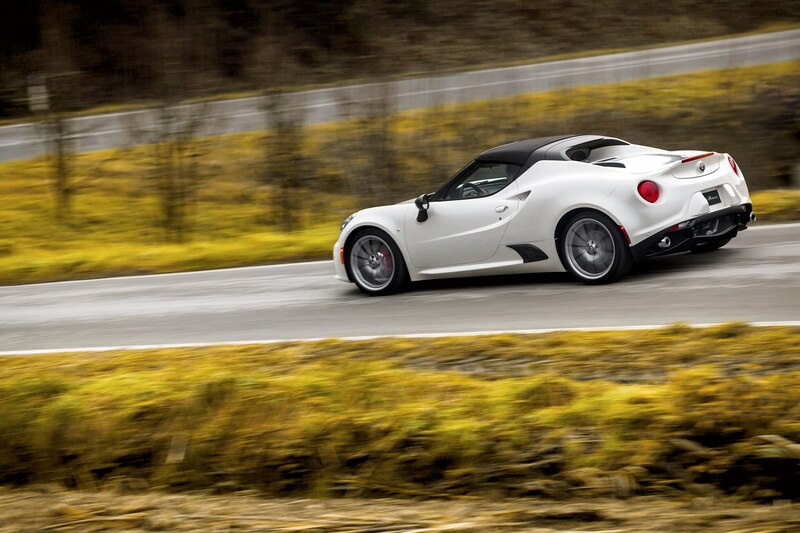 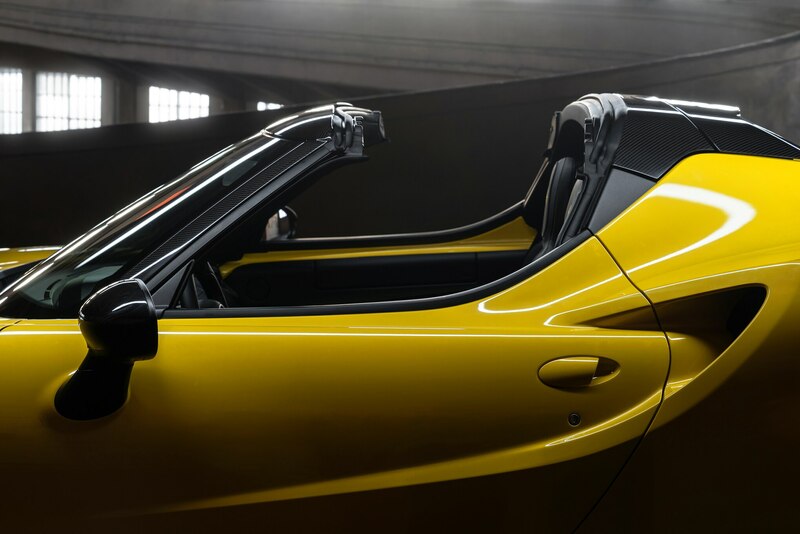 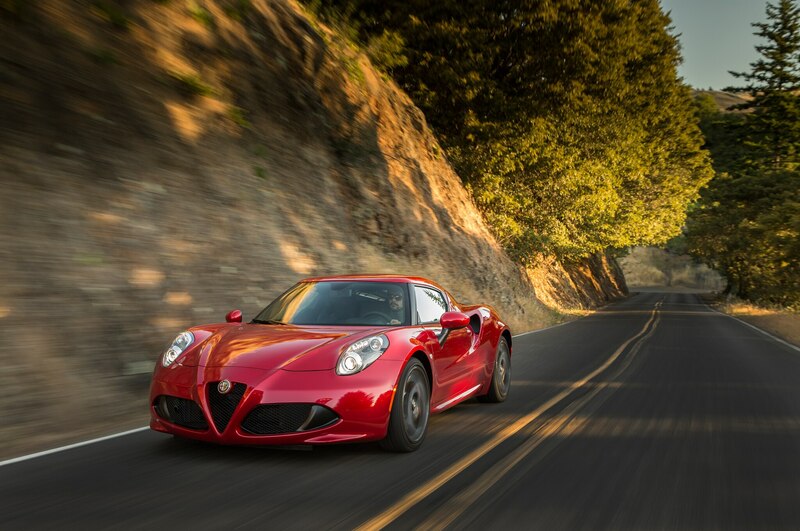 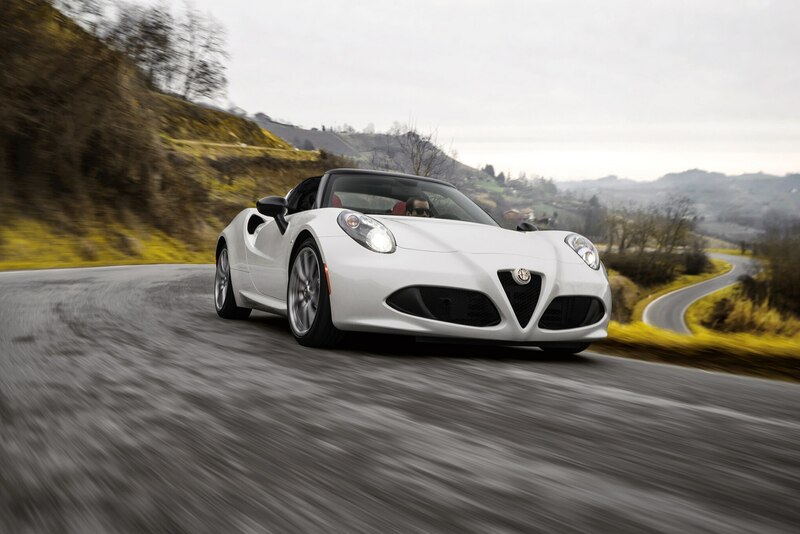 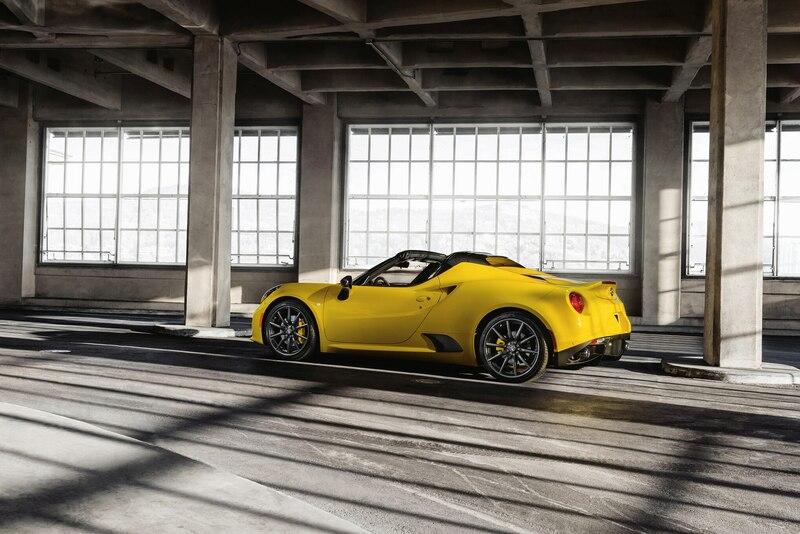 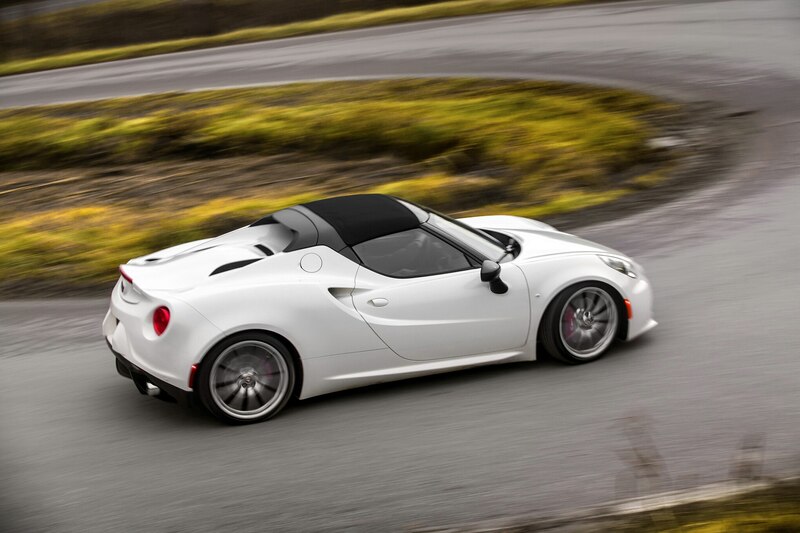 The 2015 Alfa Romeo 4C Spider goes on sale in the U.S. this summer.